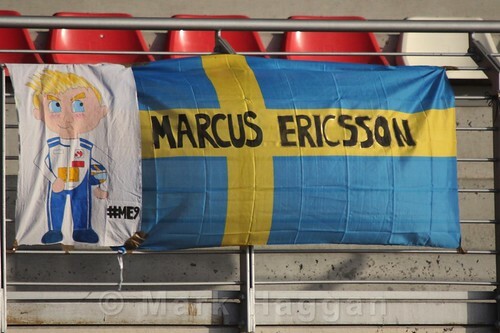 Marcus Ericsson is a Swedish racing driver, born in September 1990, who has competed in various series through his career. 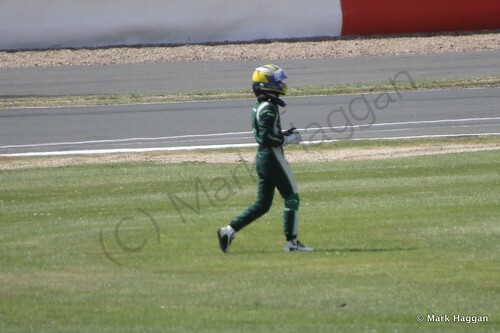 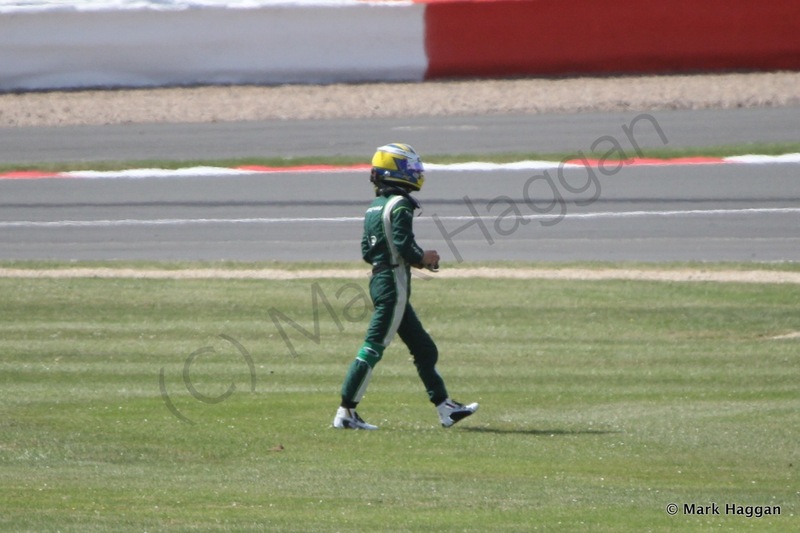 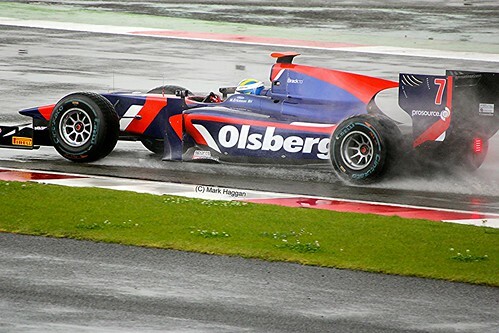 After the traditional start in karting, he made his was to Formula BMW in 2007, which saw a win at Brands Hatch early in his career, and following it up with six more wins to clinch the title at his first attempt. 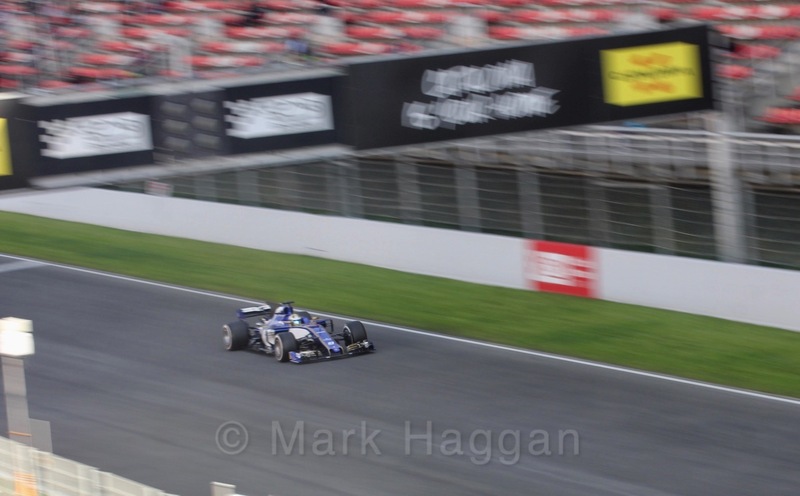 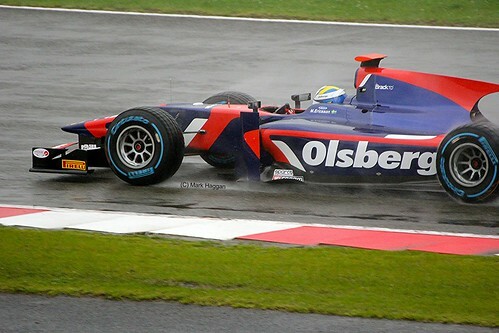 This success saw a quick move to British Formula Three, racing for the Carlin team, and a 5th place finish in the 2008 championship with two wins, and a seat in the Macau Grand Prix for Carlin in that year, which saw Marcus race from pole to a fourth place finish. He stayed in Asia for the Japanese Formula Three championships for 2009, which he won, with five wins from sixteen races. 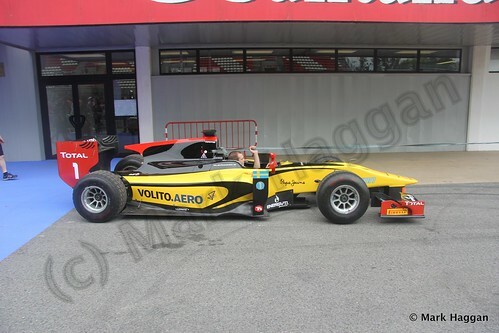 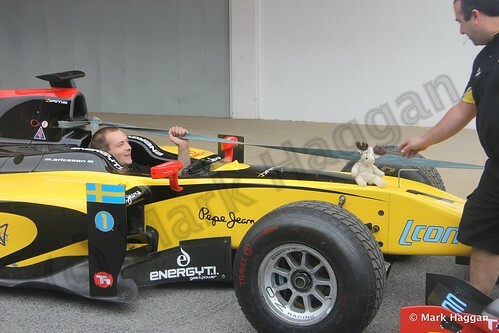 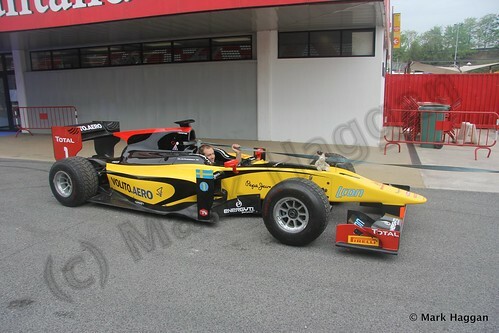 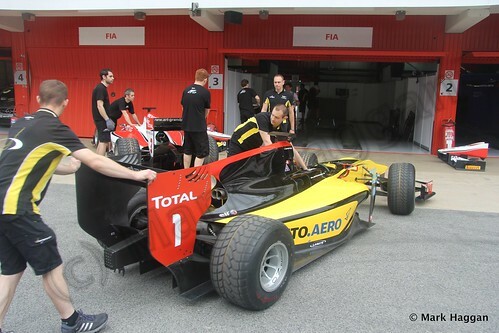 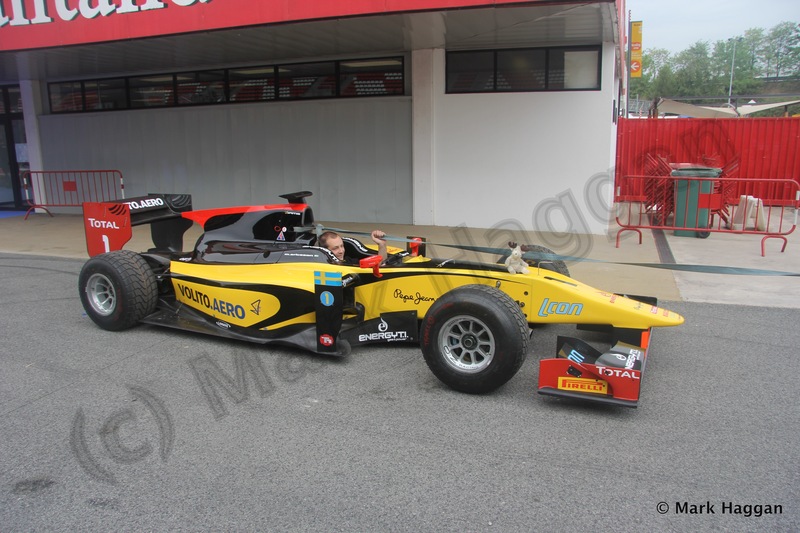 He also competed in British Formula Three that year, and again was the pole sitter at the Macau Grand Prix for 2009. 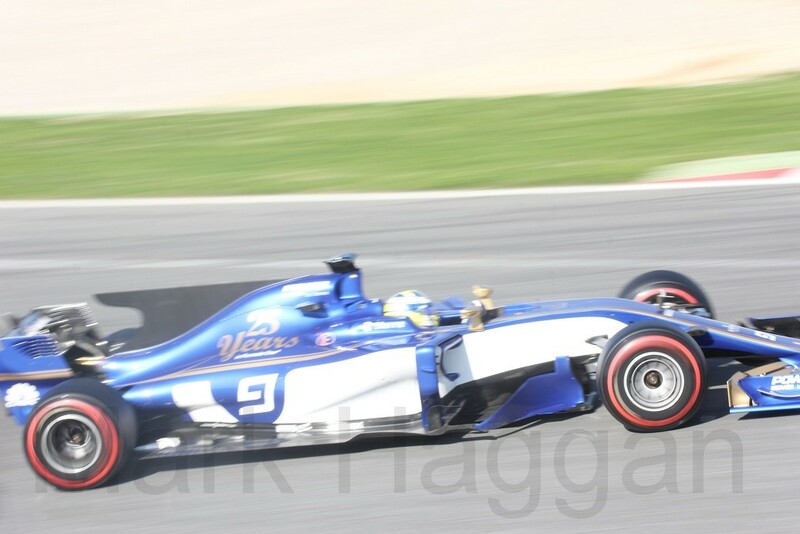 After four races for the ART in the GP2 Asia series over the winter of 2009/10, Marcus moved to GP2 for the 2010 series, which saw a single win, before a move in 2011 to the iSport team still in GP2, where he remained in 2012 including a win at Spa, before a move to DAMS in GP2 in 2013 including a win in Germany. 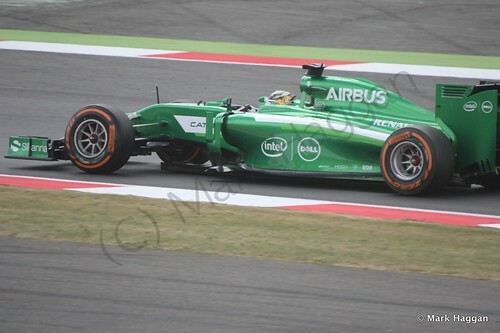 His form has continued to impress, and he was appointed to a race seat for the Caterham F1 team on 21st January 2014 for the 2014 season, alongside Kamui Kobayashi, with Robin Frijns as reserve driver. 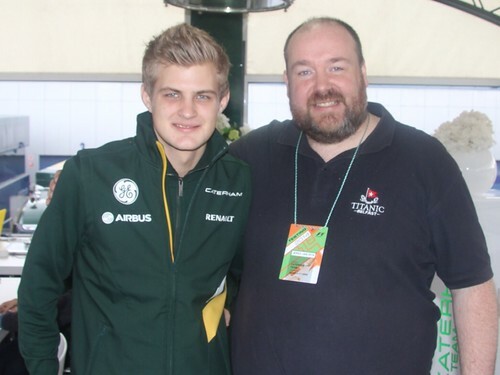 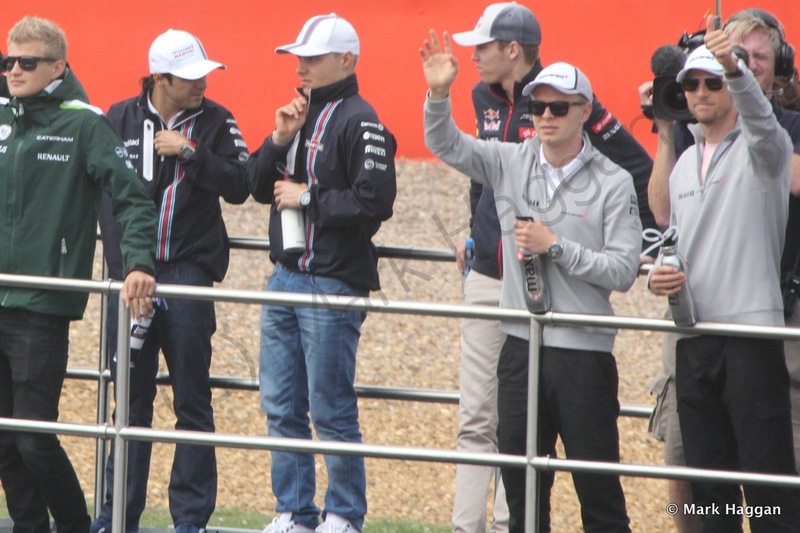 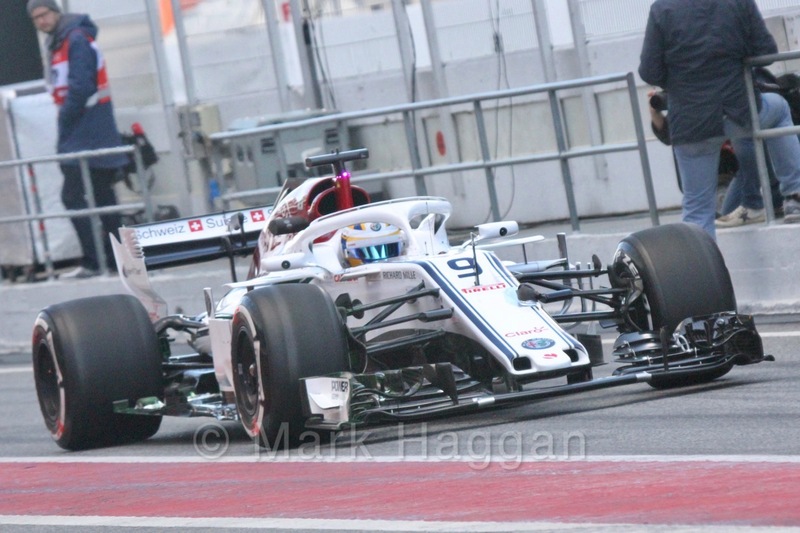 I met Marcus at 2014 Winter Testing and had a chat with him about the forthcoming season, and he was a very pleasant, witty and personable chap. 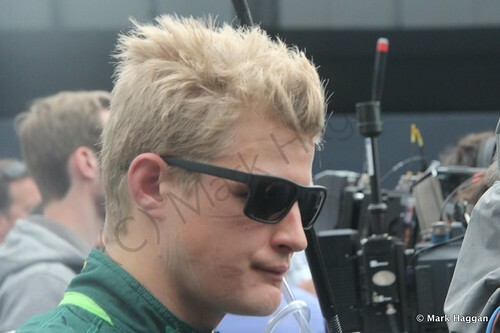 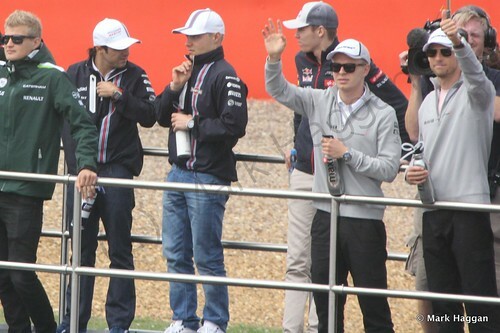 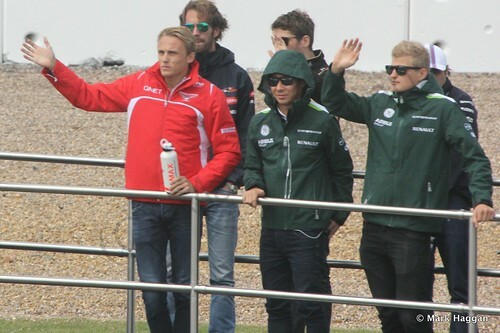 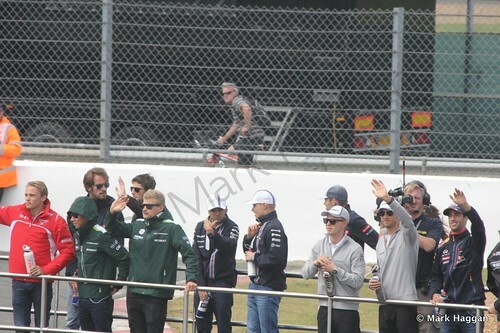 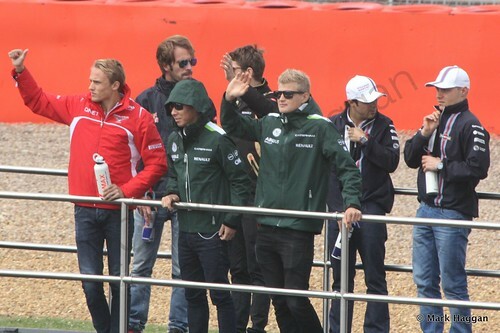 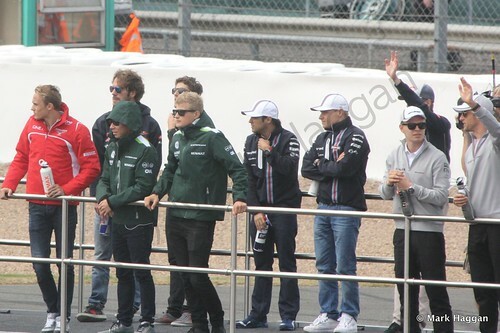 I bumped into him again at the German Grand Prix, and again he was very pleasant. 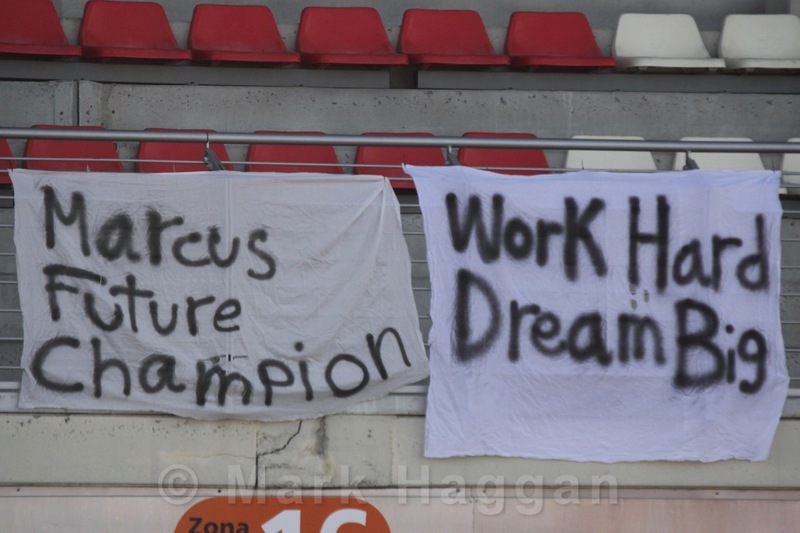 The season, however, was a challenging one for Marcus. 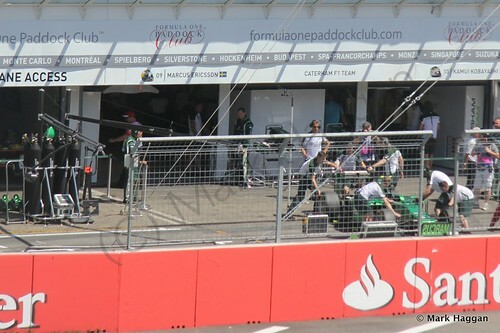 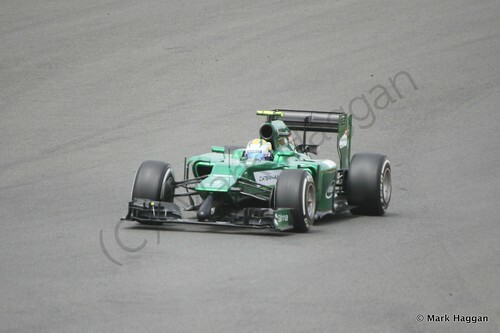 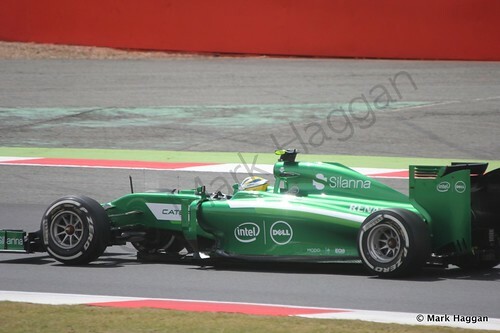 He seemed to be getting better and better in an uncompetitive car, just missing on the points with an eleventh place finish in Monaco, before the Caterham team start to have financial problems, meaning that his last race was in Russia. 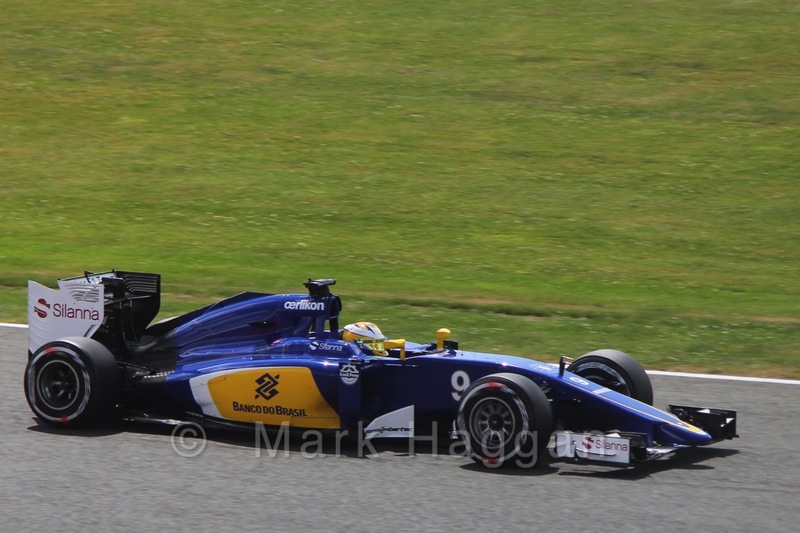 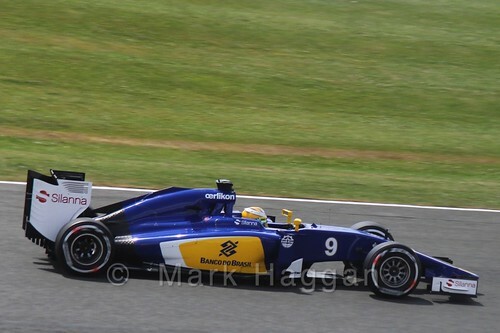 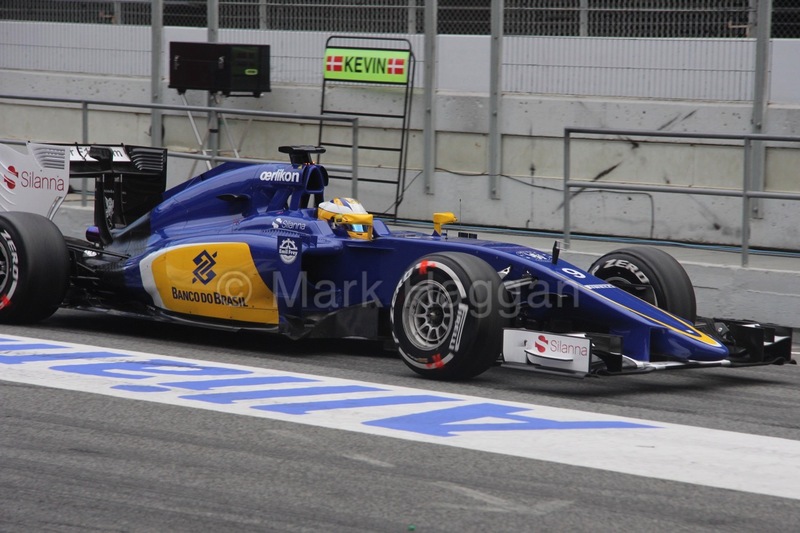 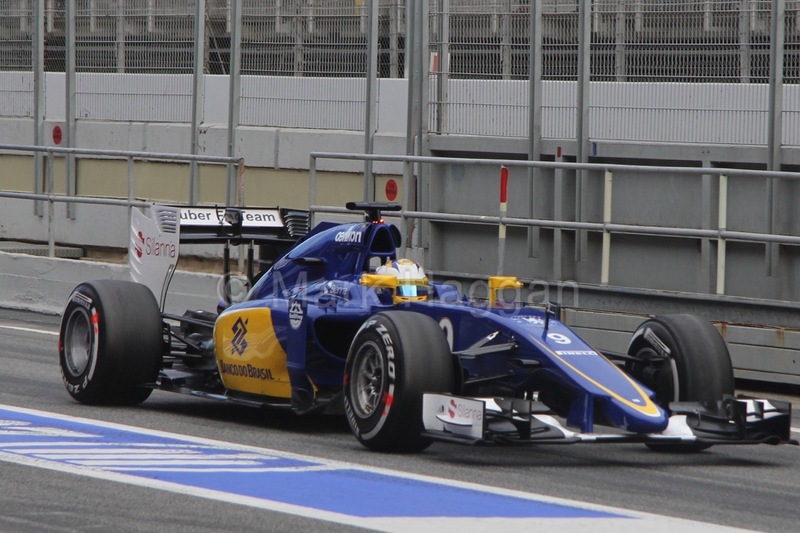 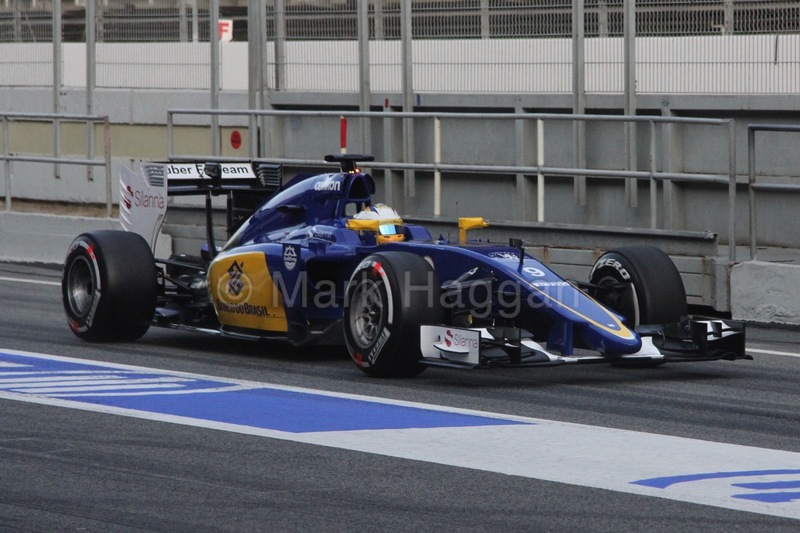 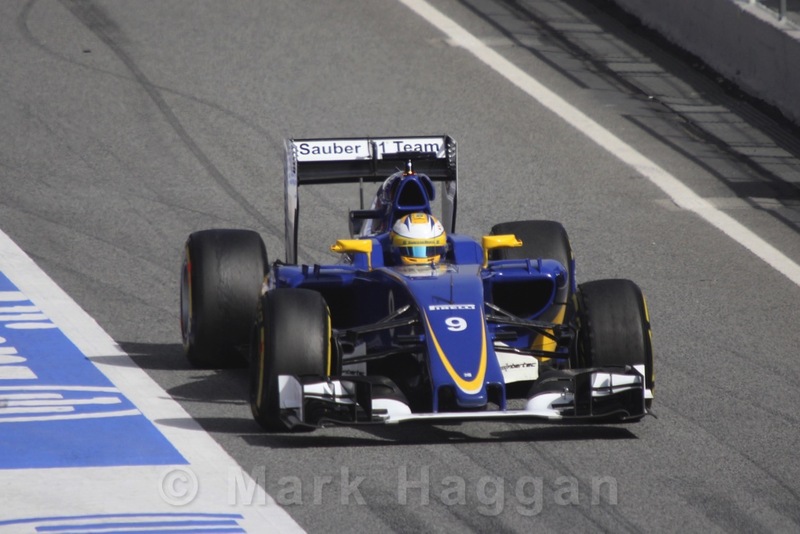 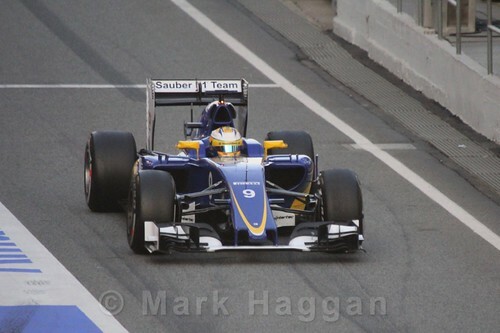 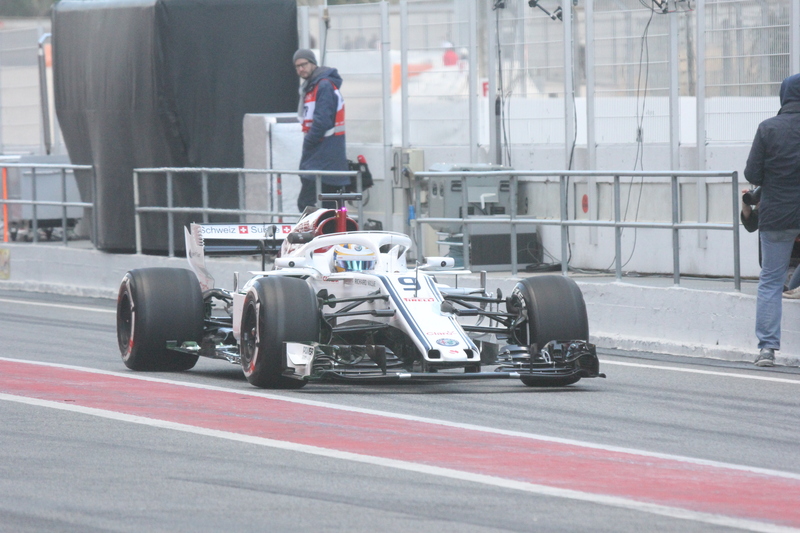 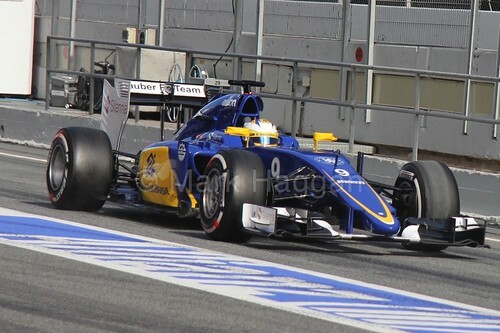 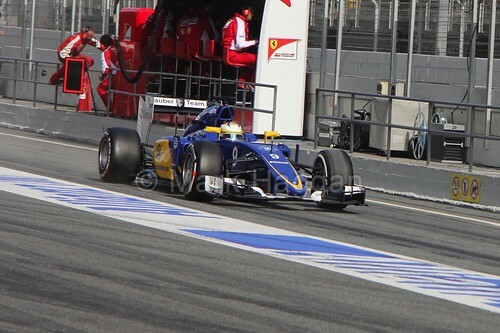 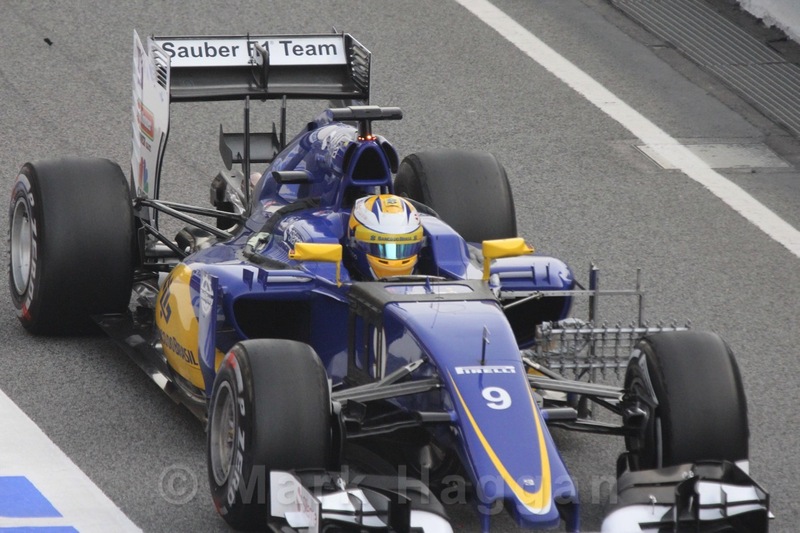 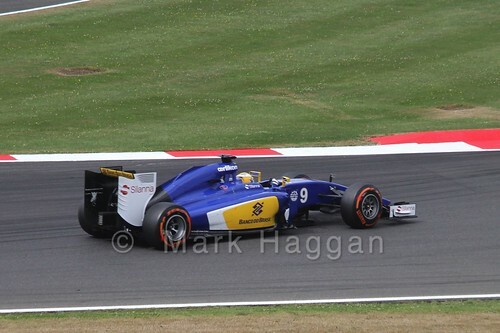 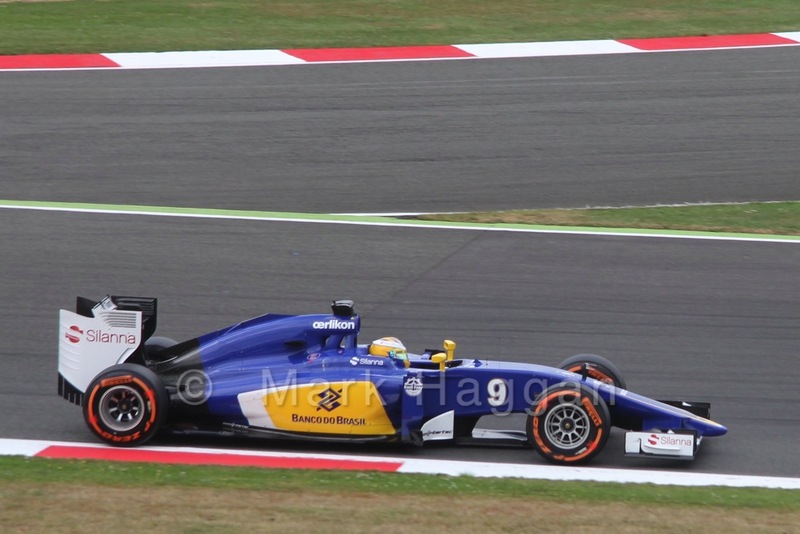 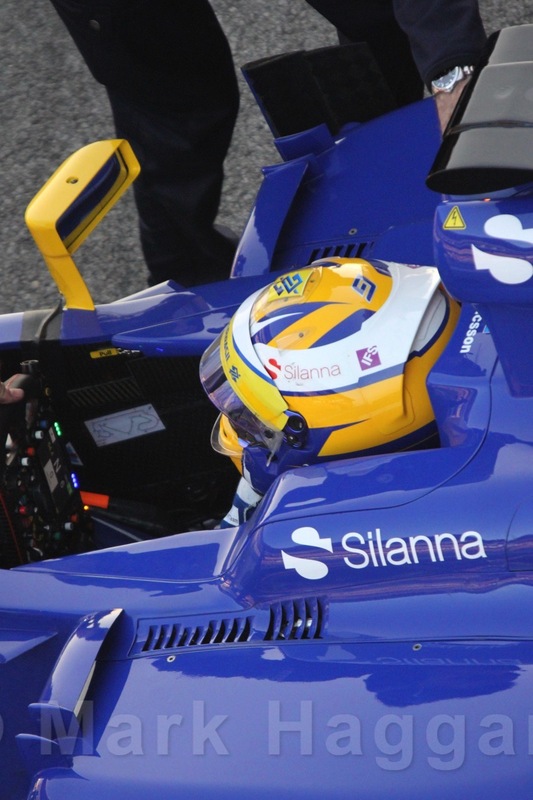 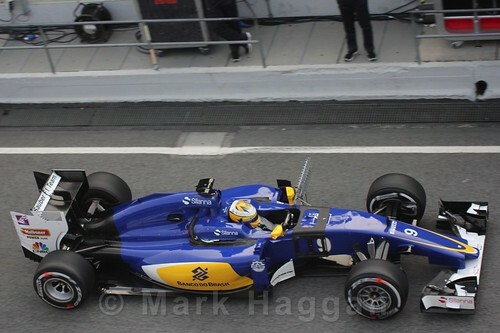 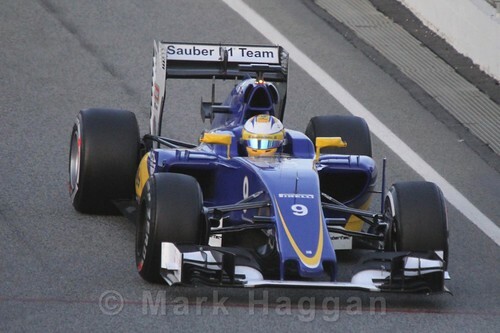 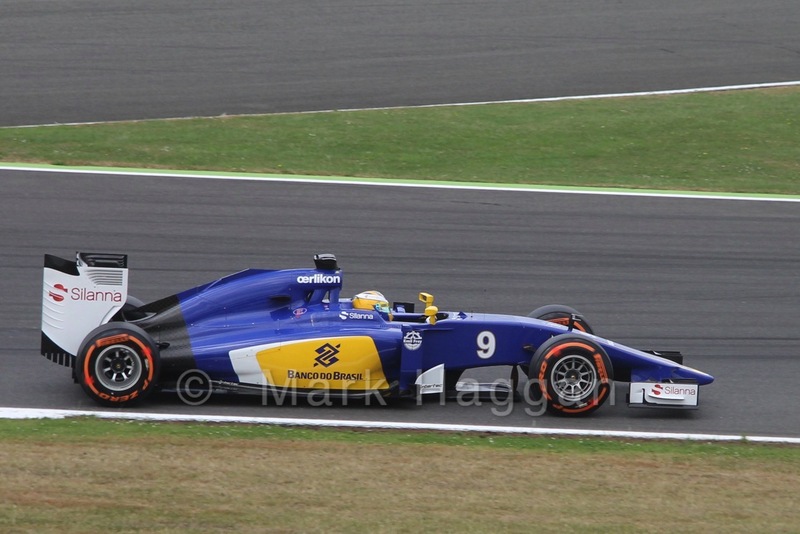 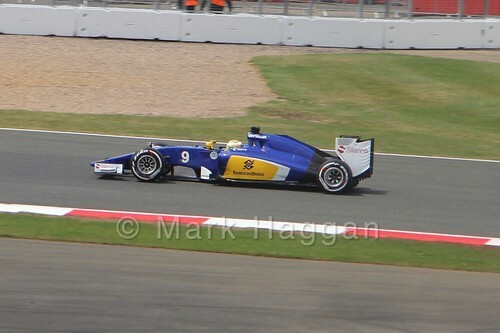 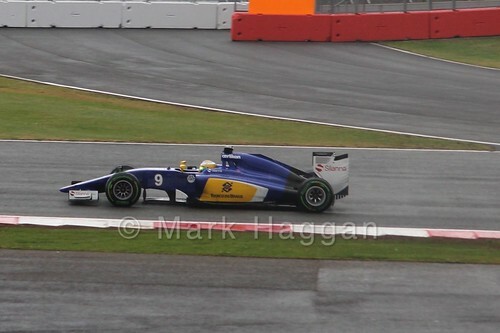 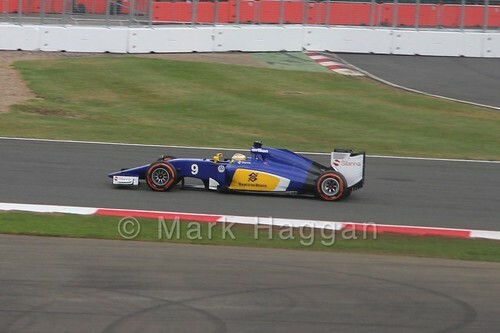 However, Marcus moved to Sauber for the 2015 season, and the team retained him through until the 2018 season. Here are some of my photos of Marcus over the years. 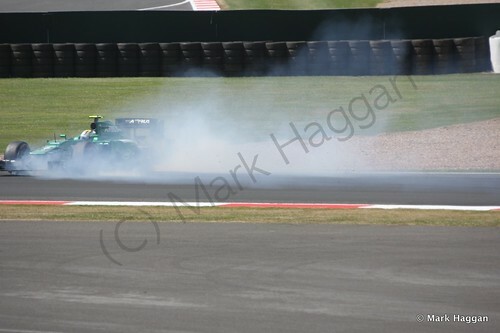 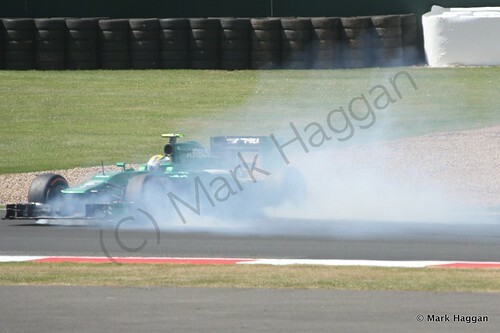 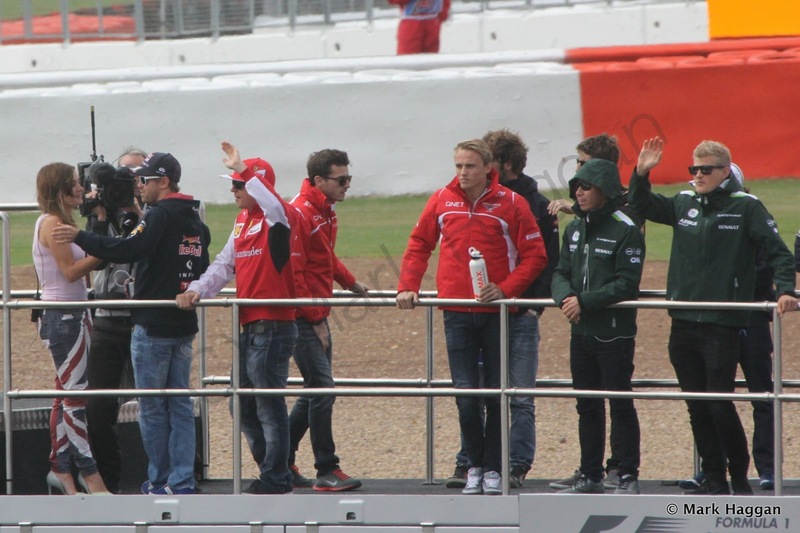 There are a series of other galleries of past and present Formula One drivers here. 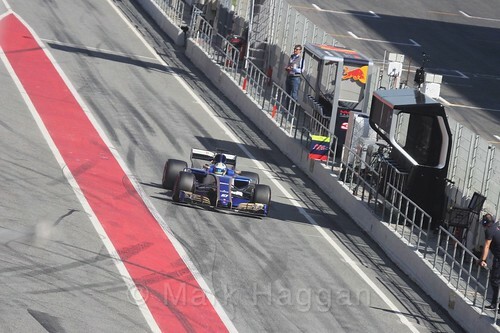 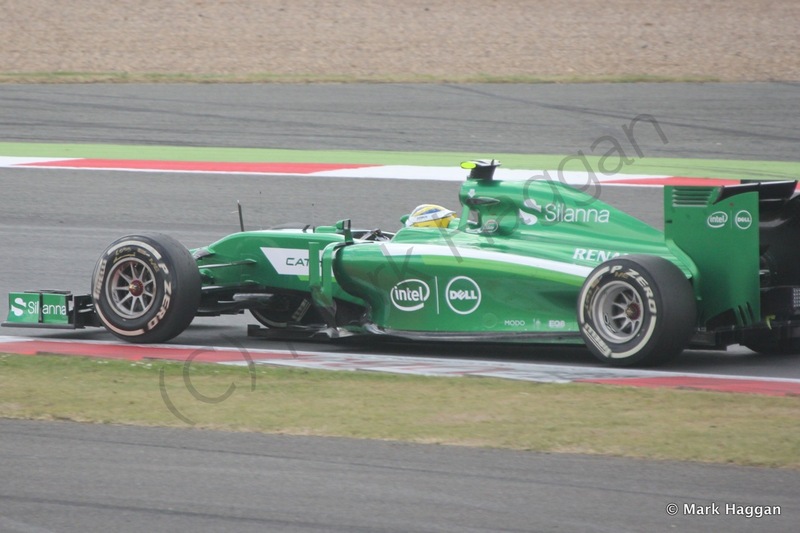 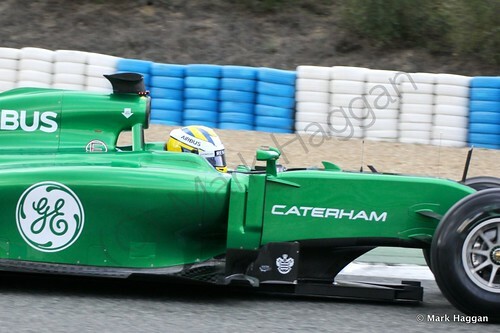 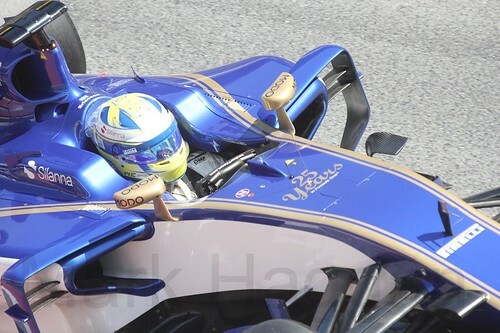 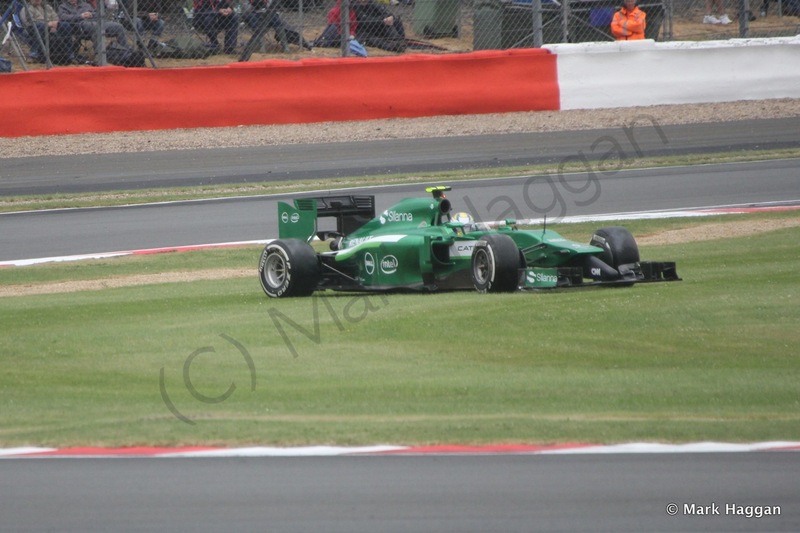 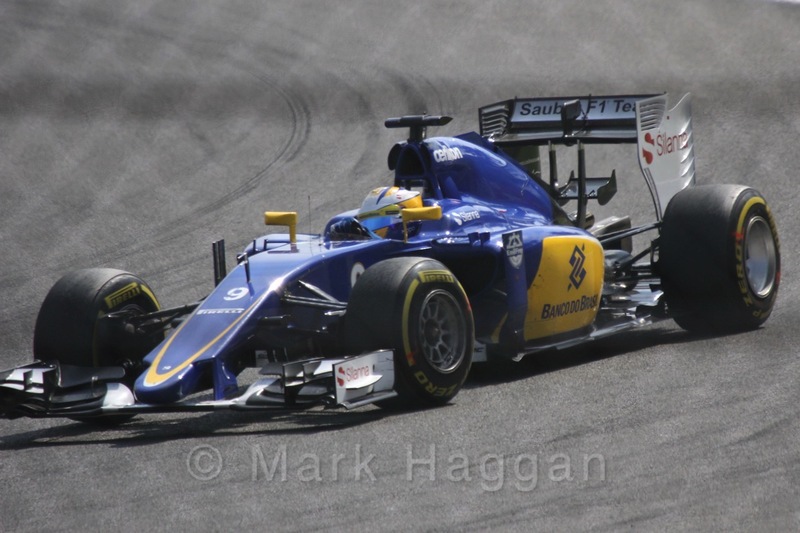 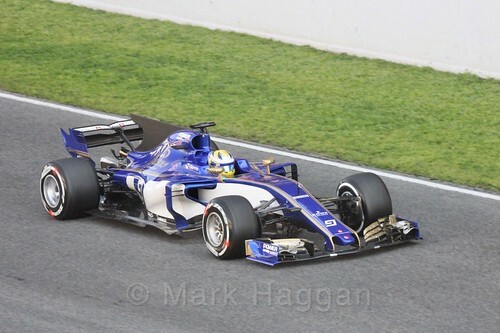 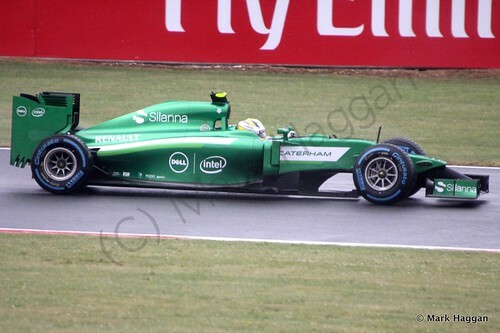 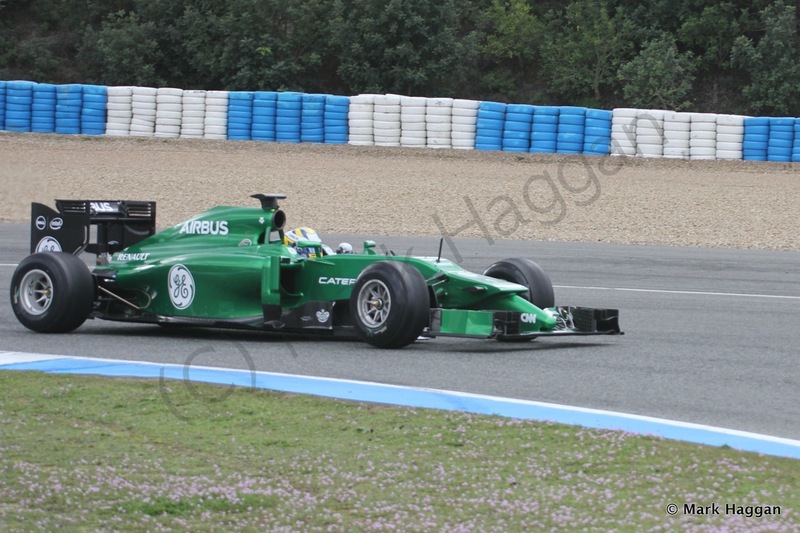 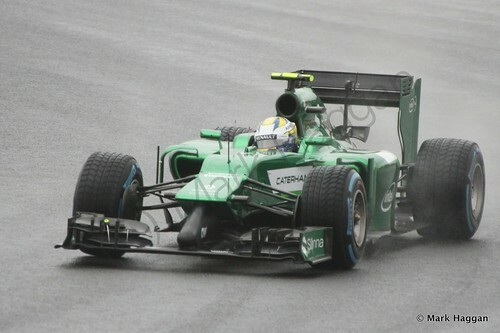 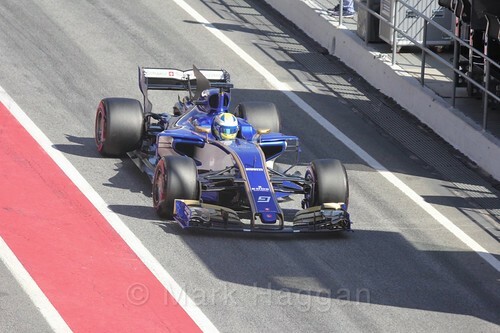 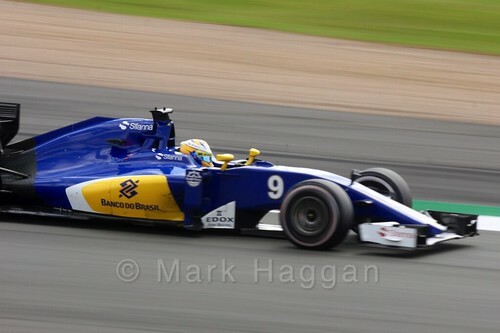 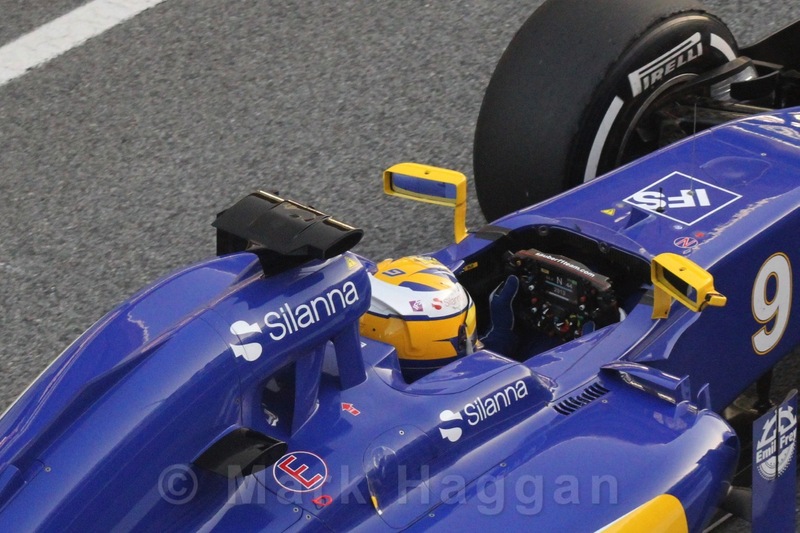 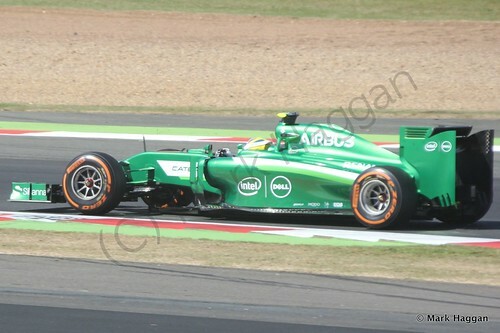 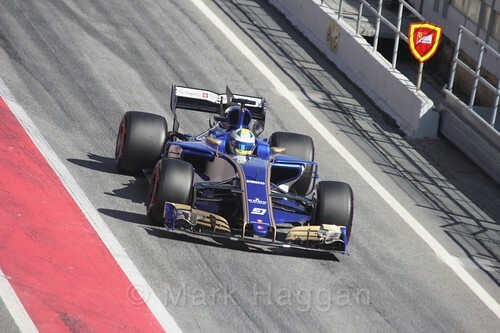 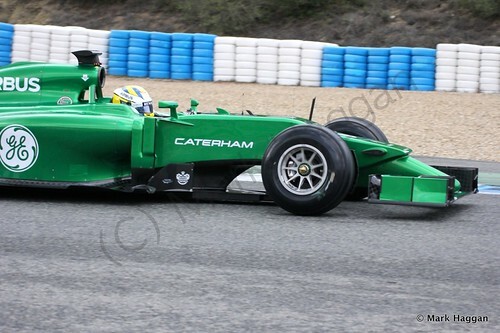 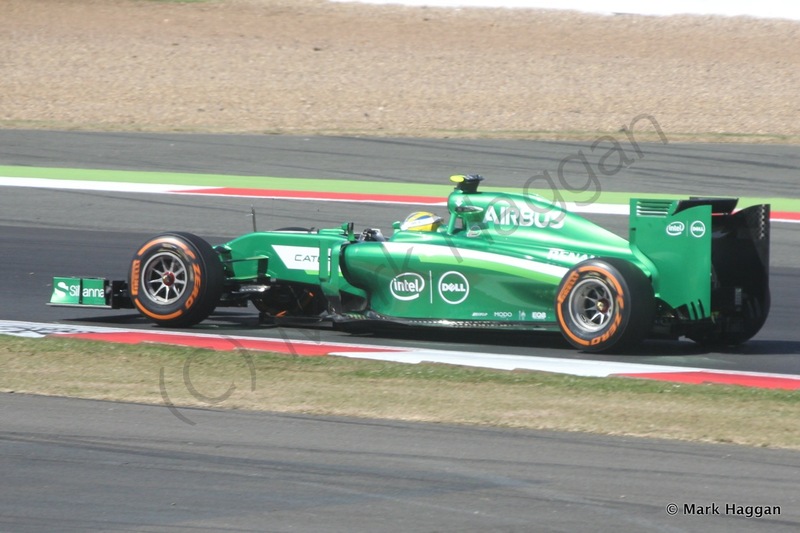 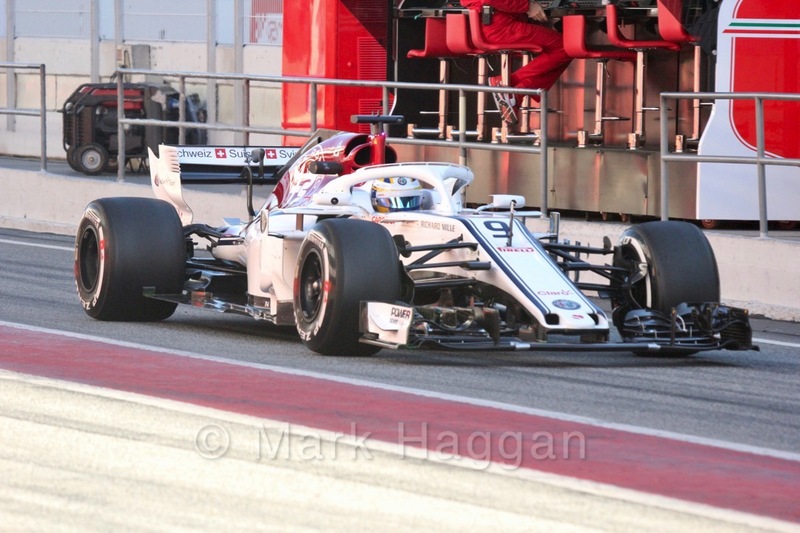 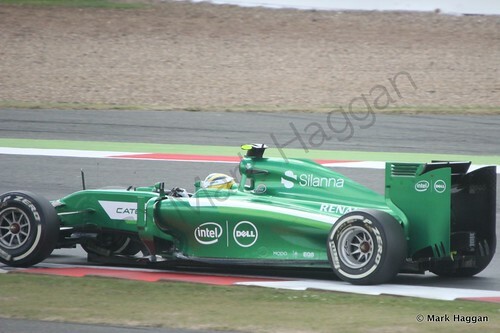 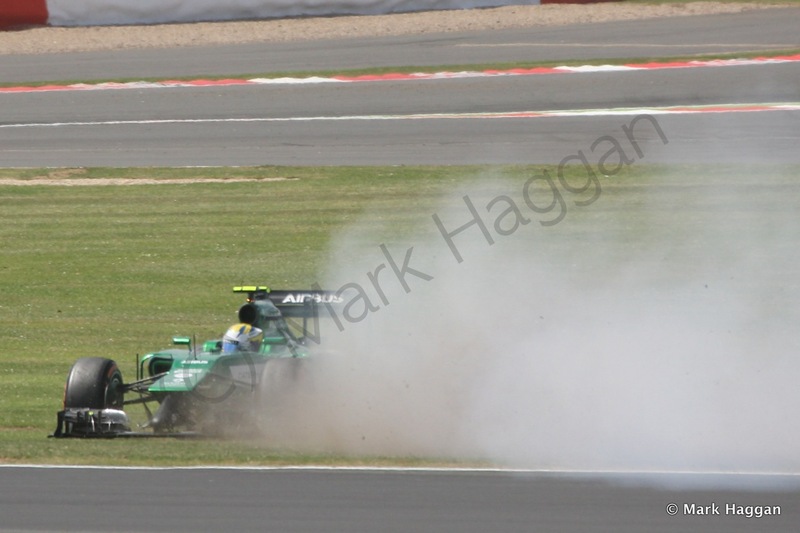 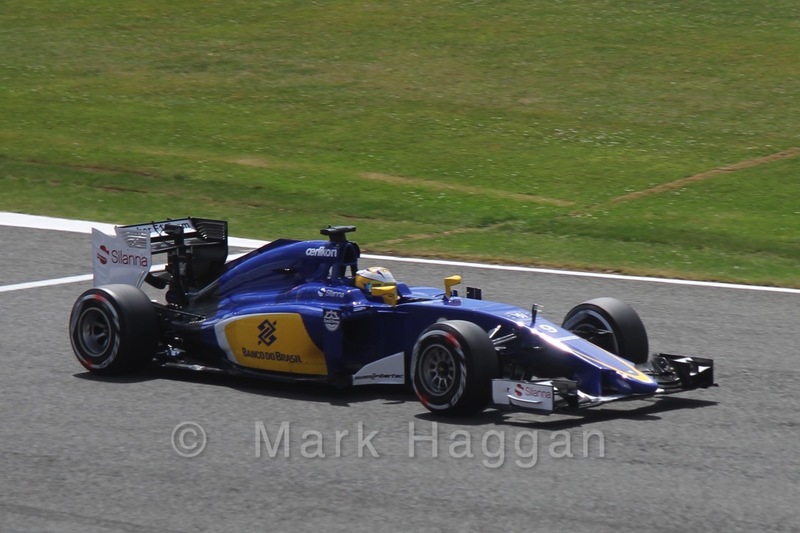 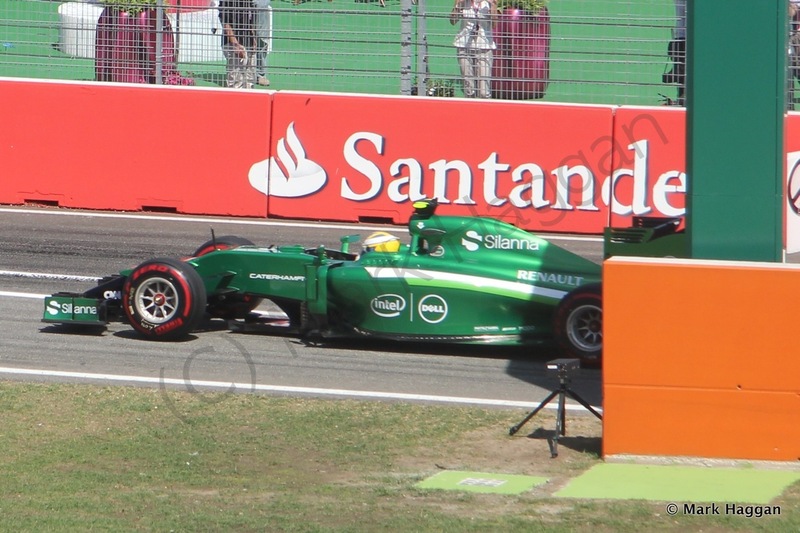 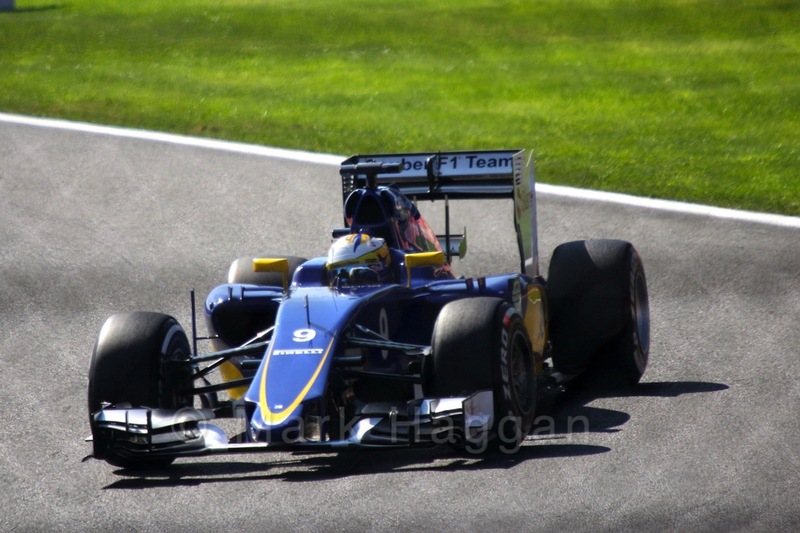 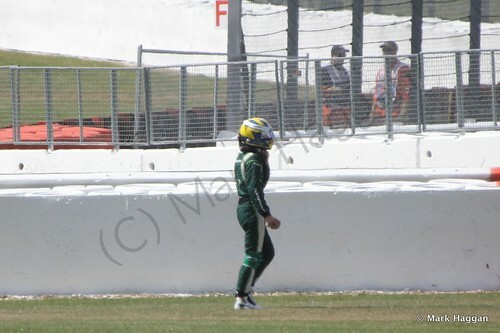 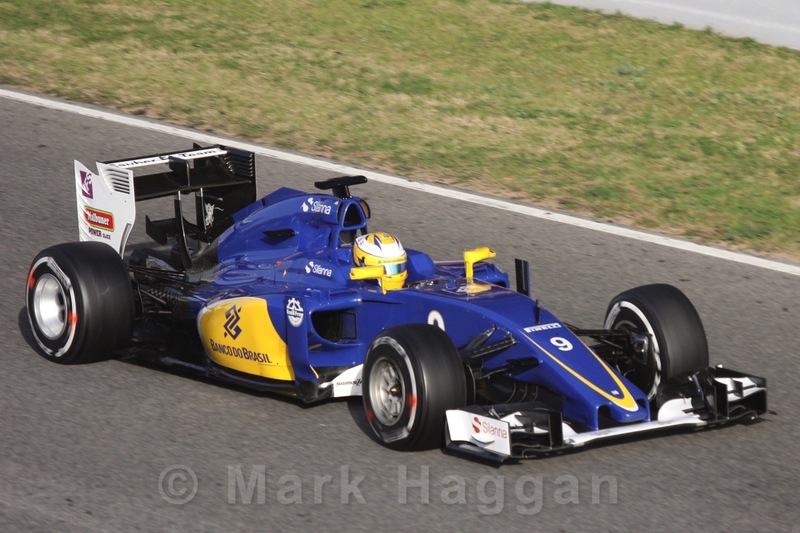 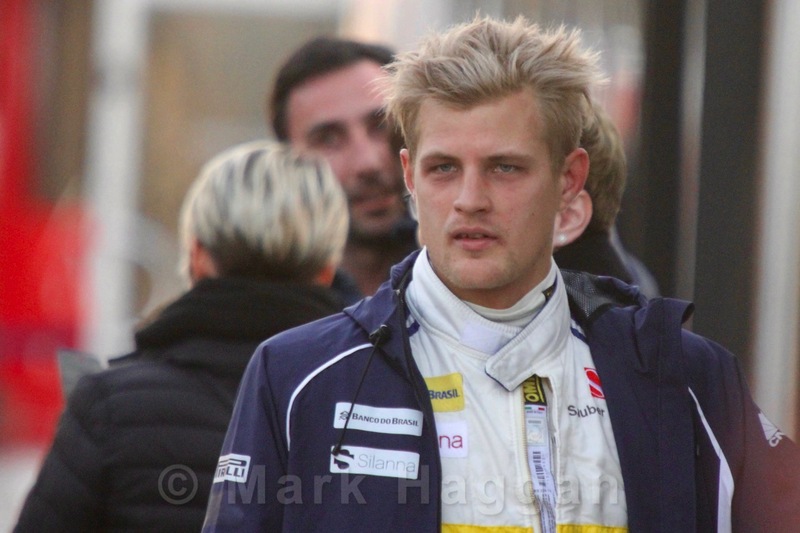 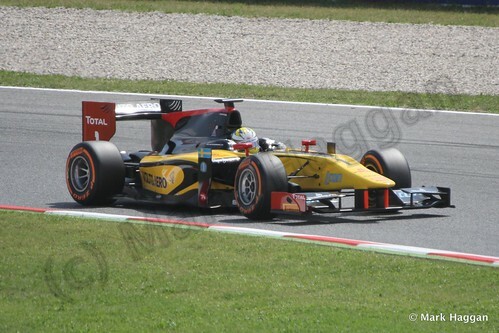 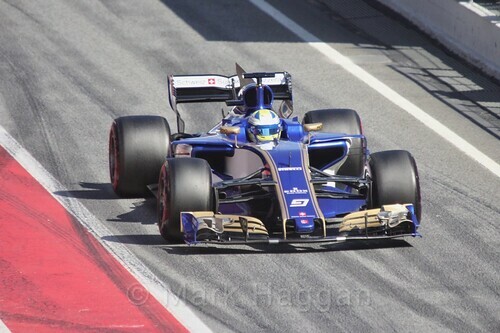 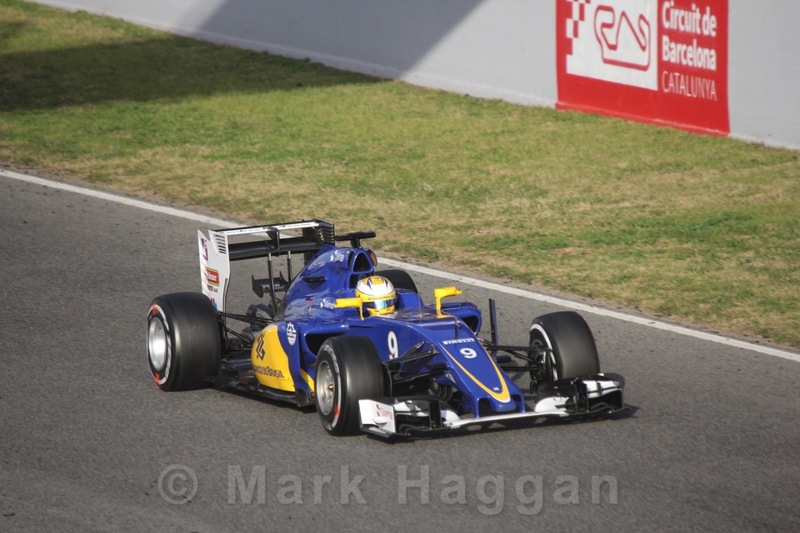 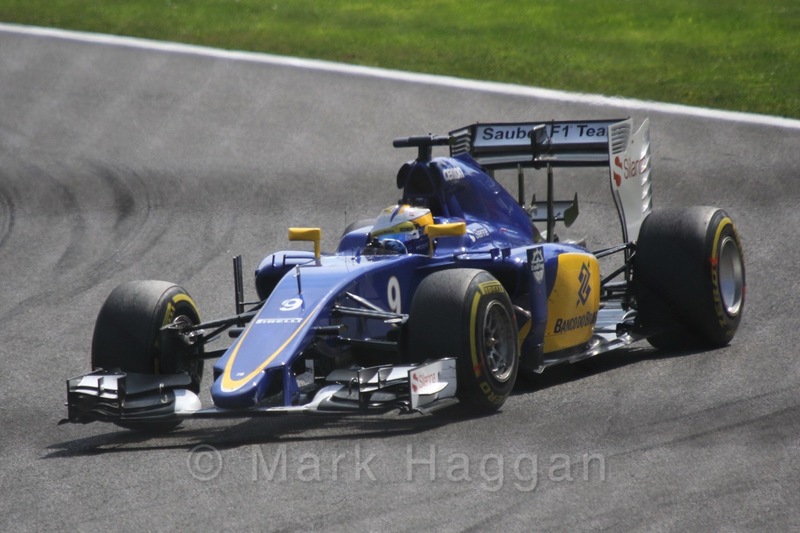 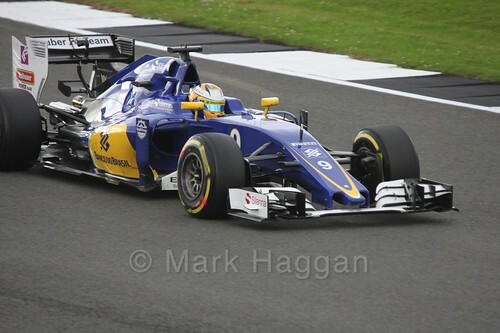 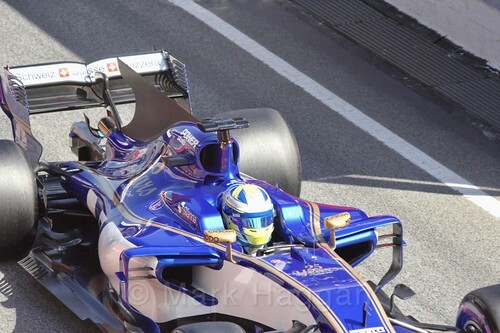 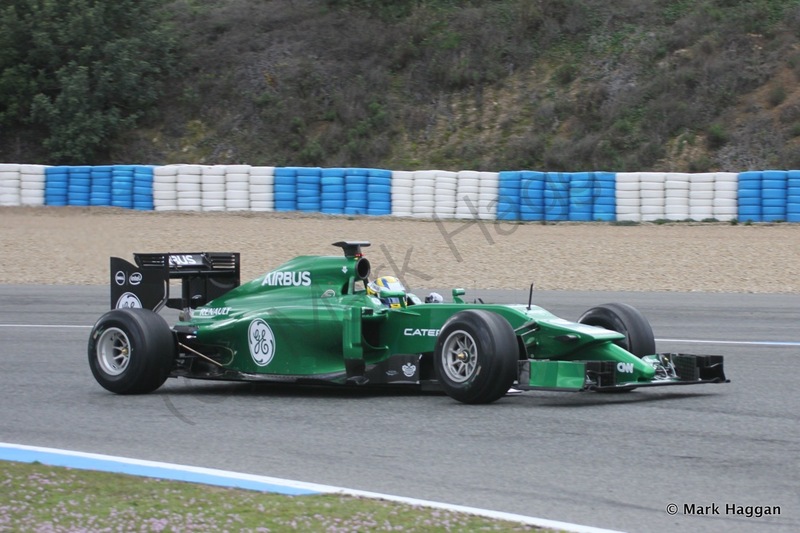 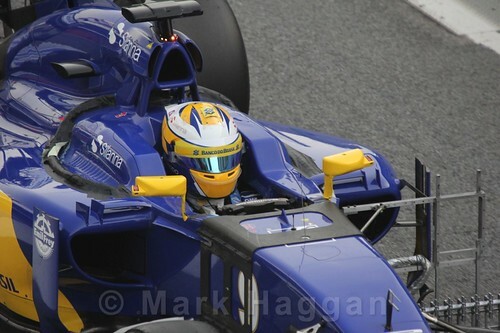 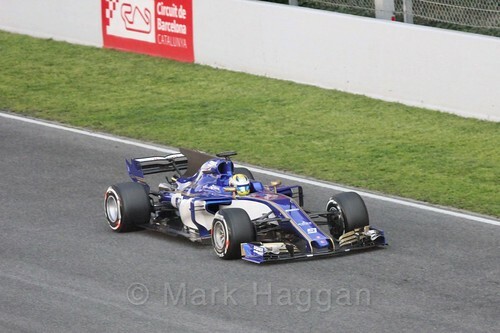 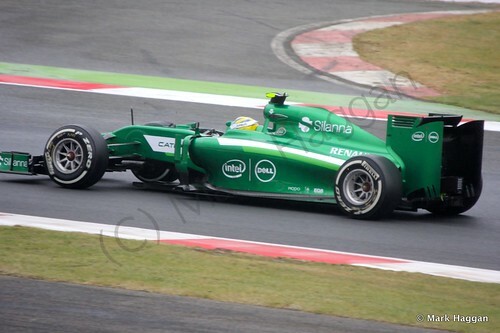 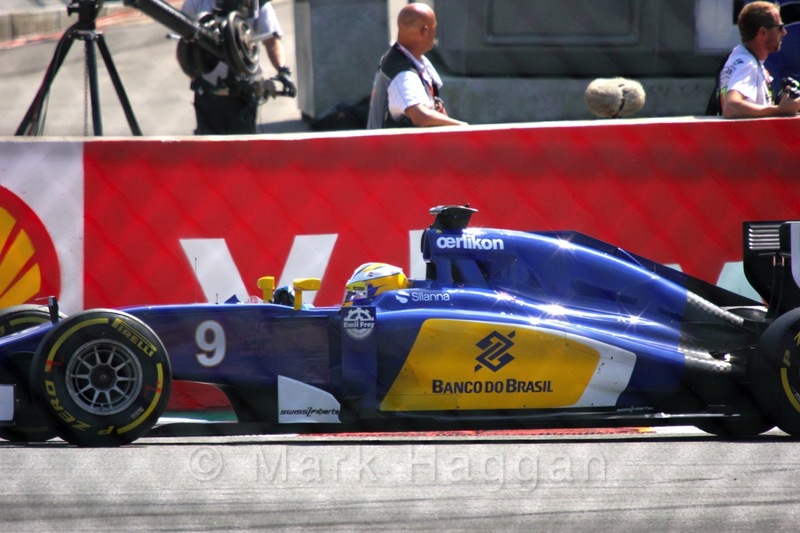 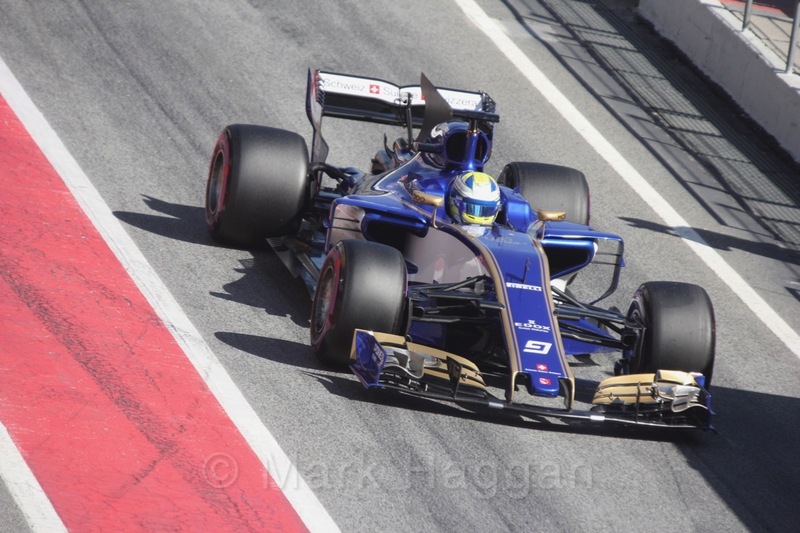 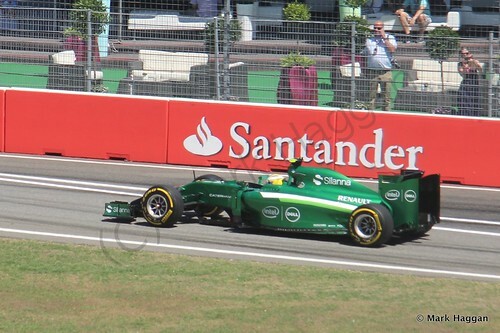 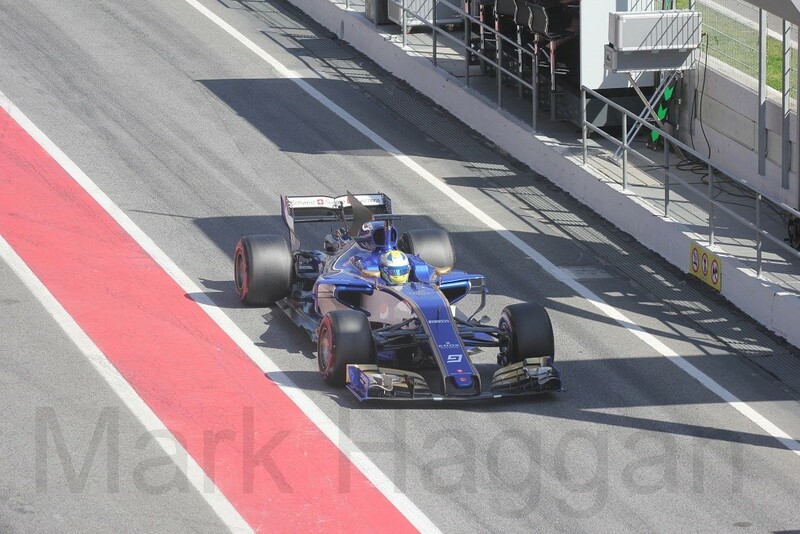 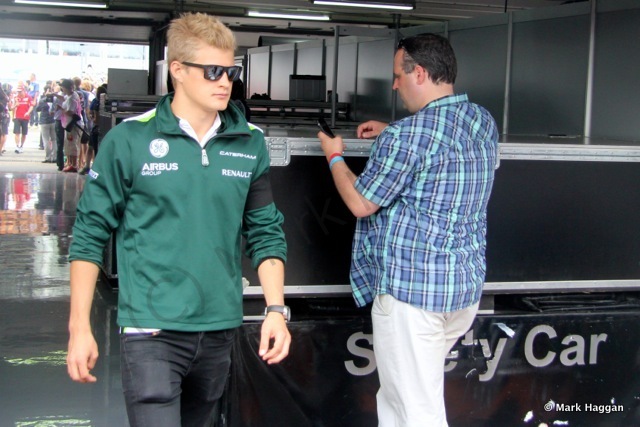 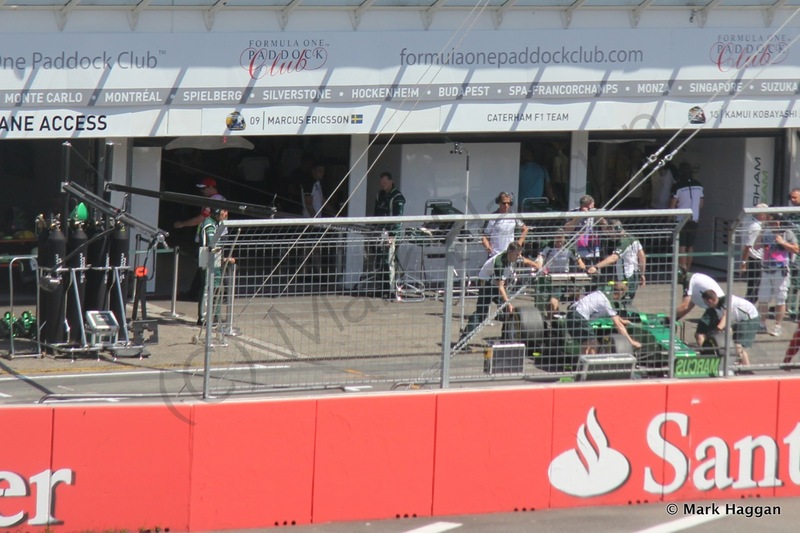 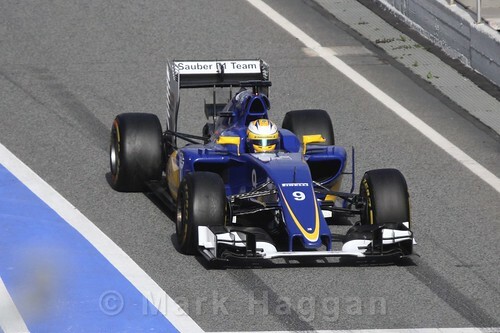 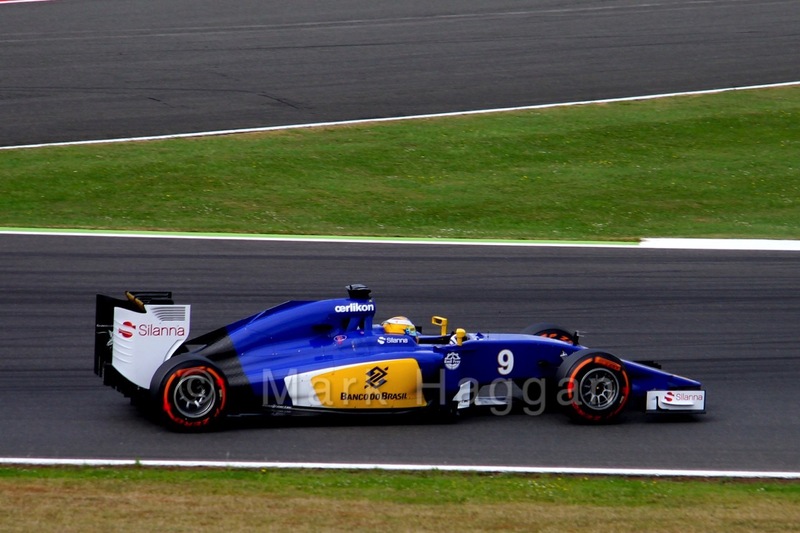 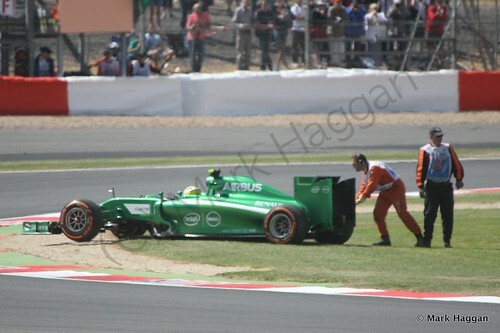 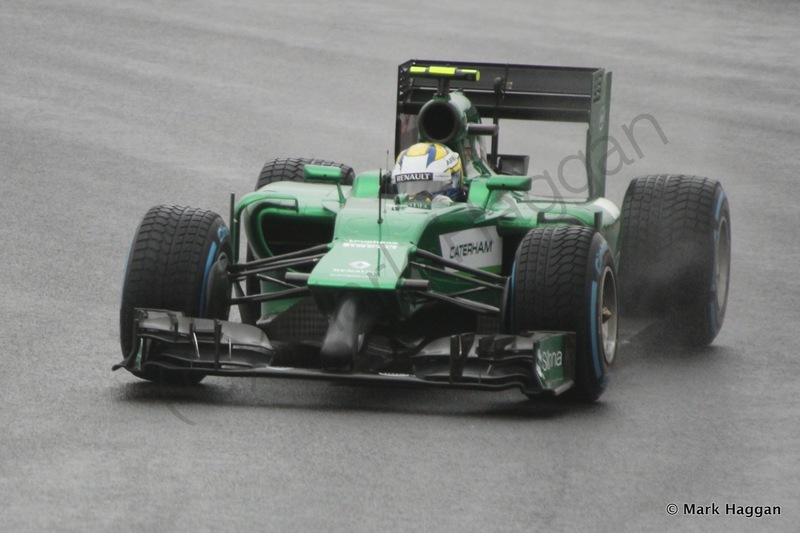 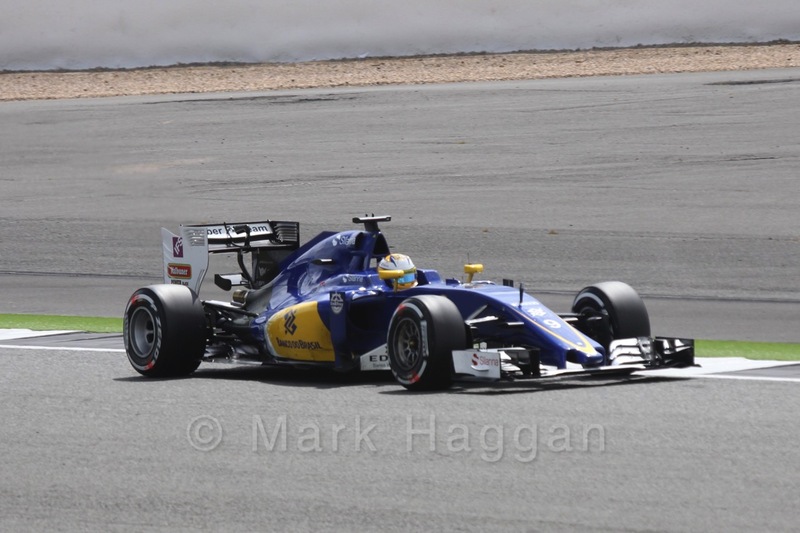 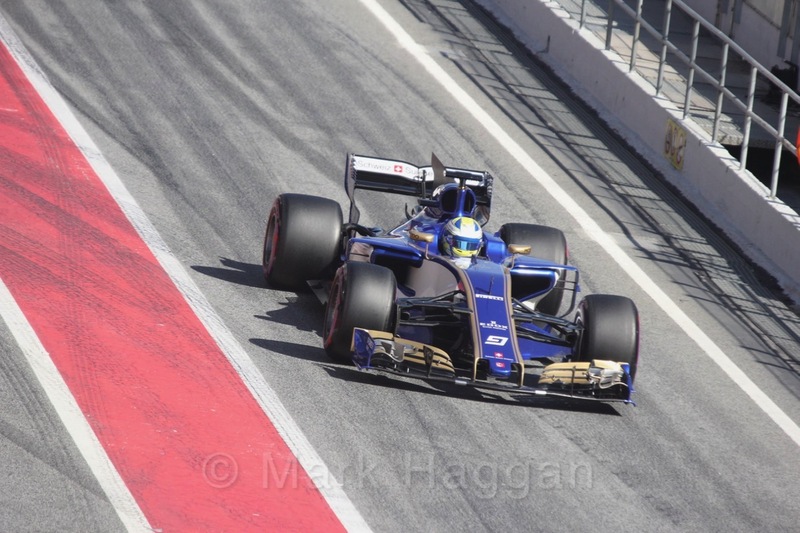 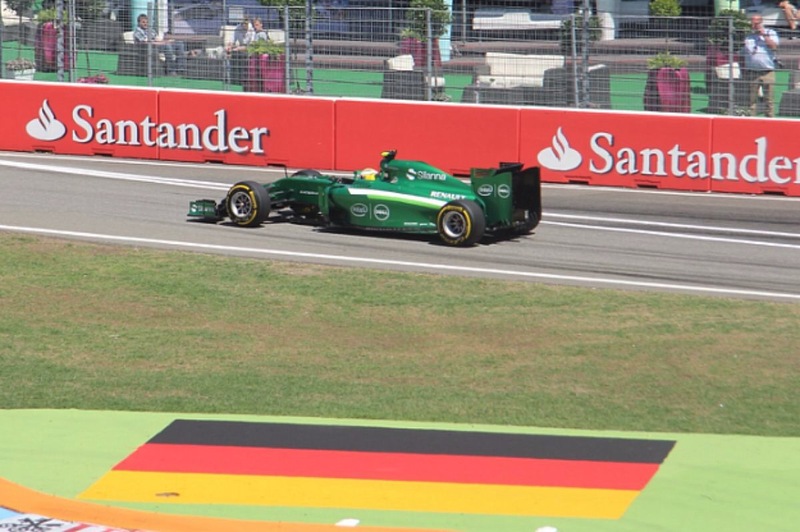 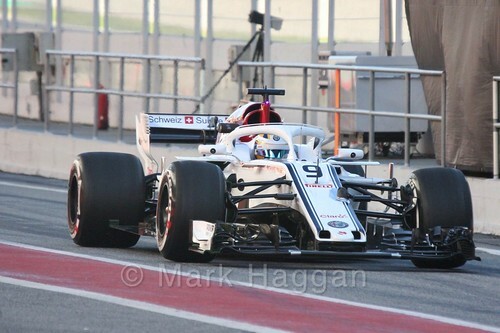 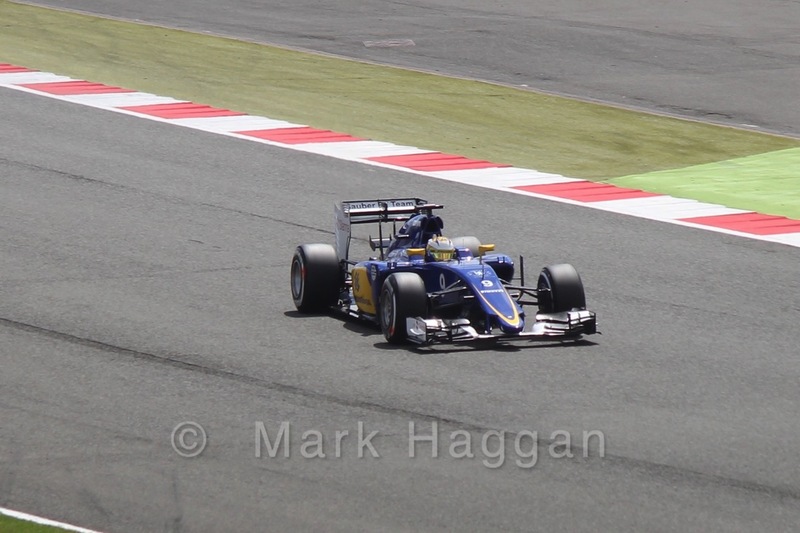 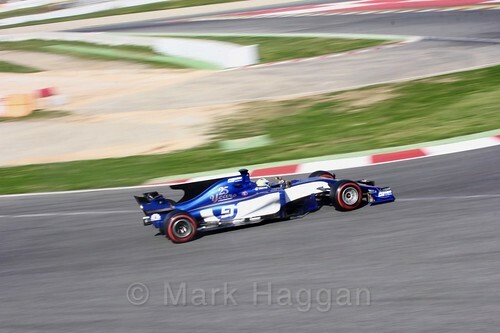 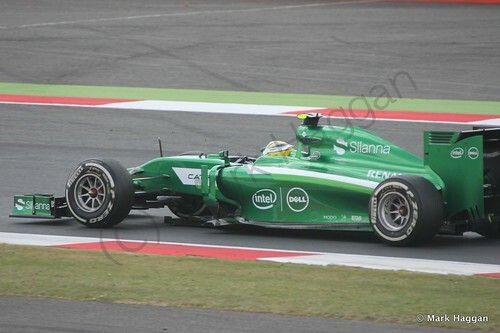 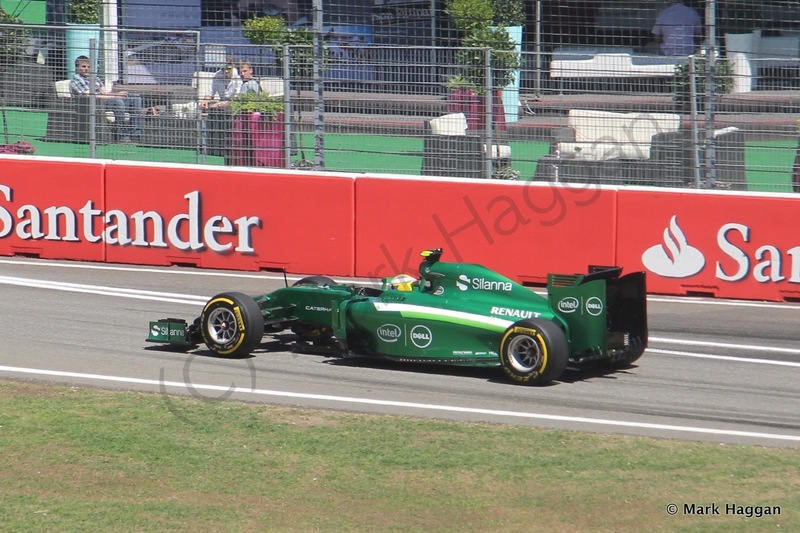 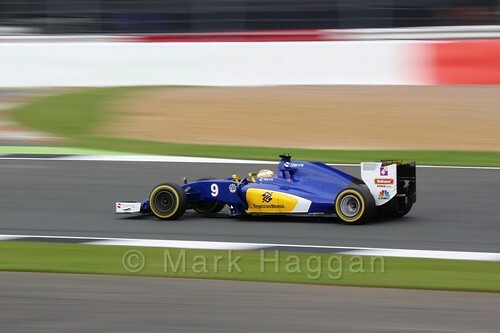 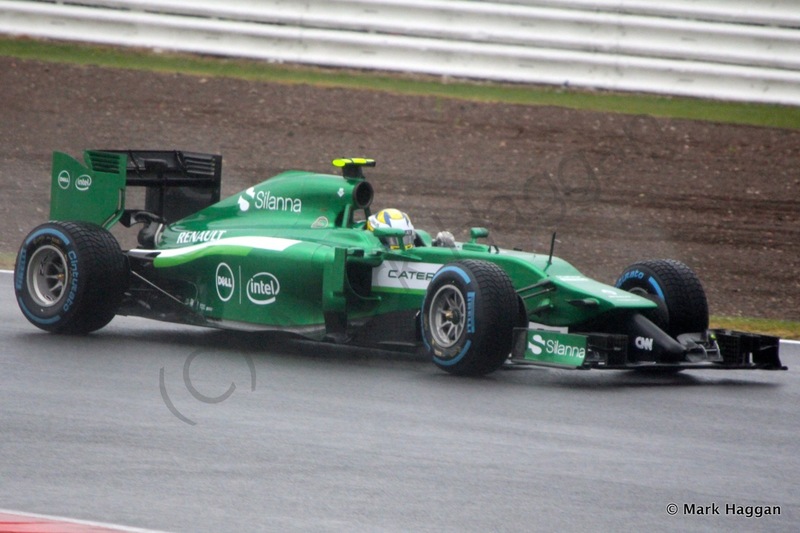 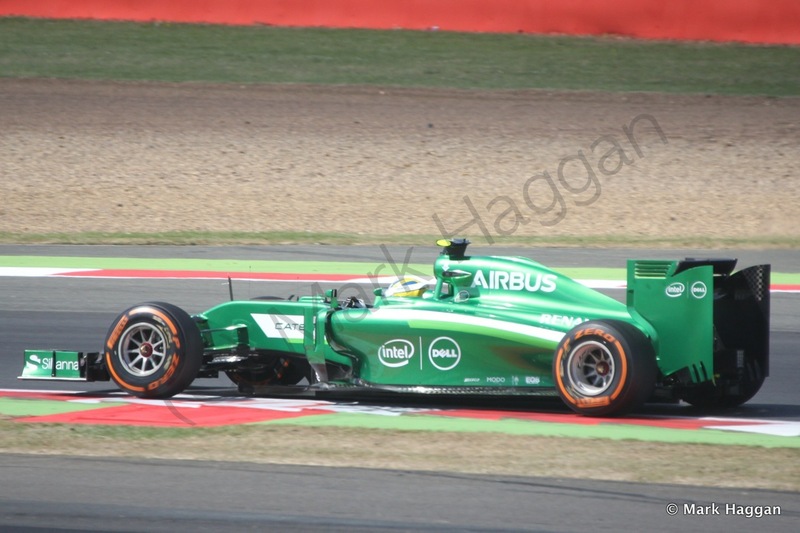 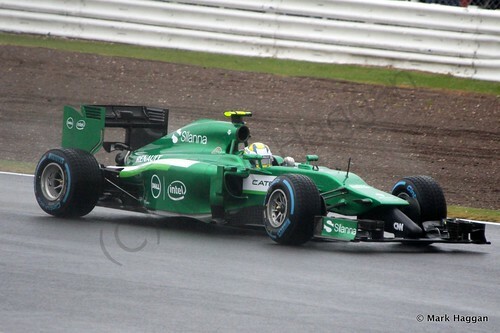 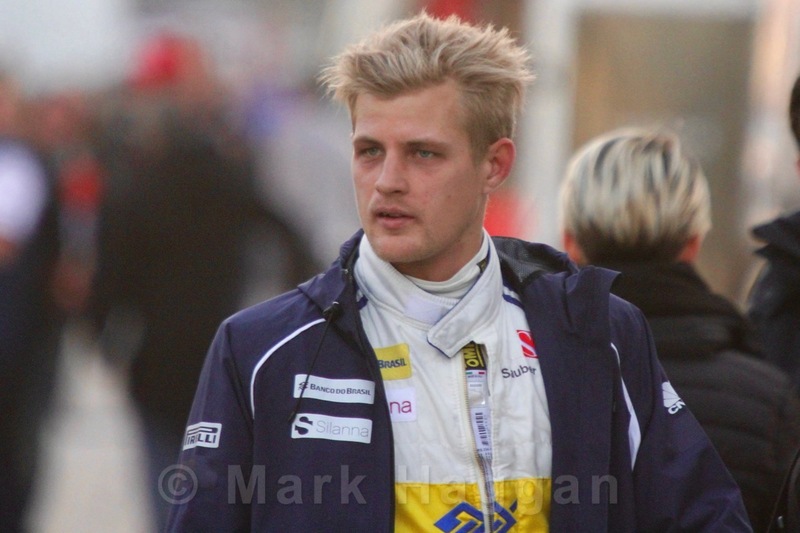 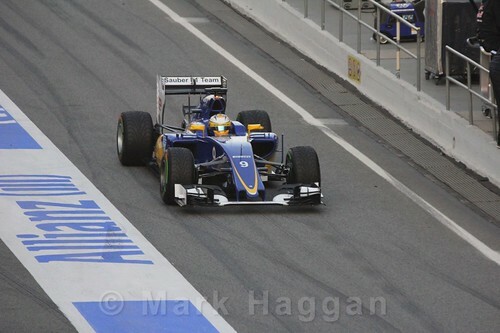 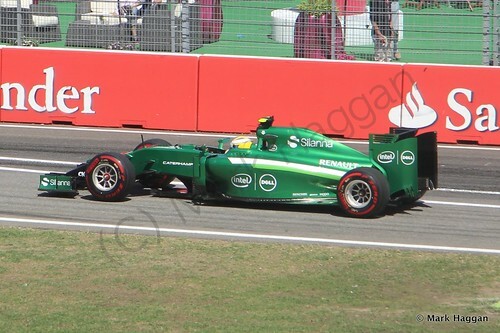 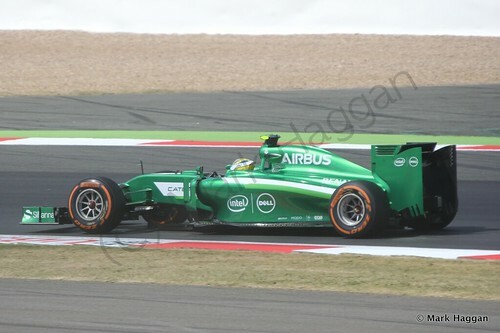 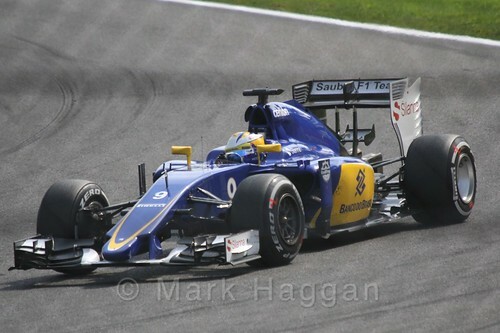 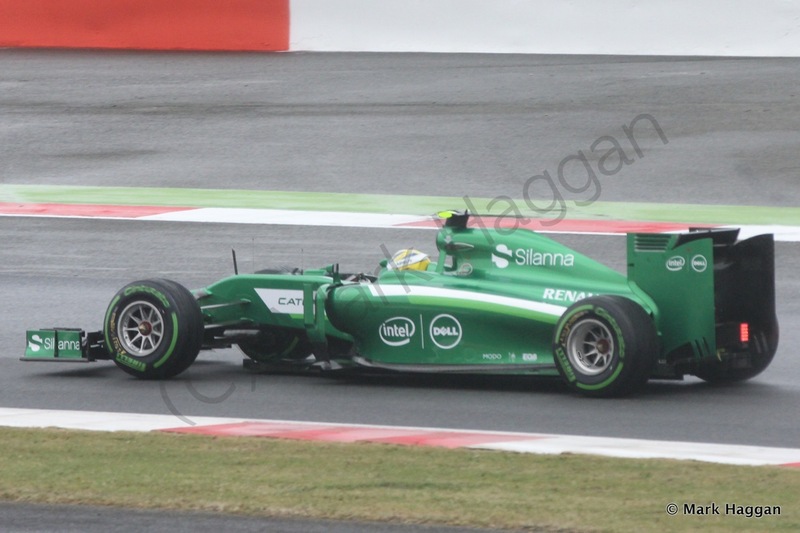 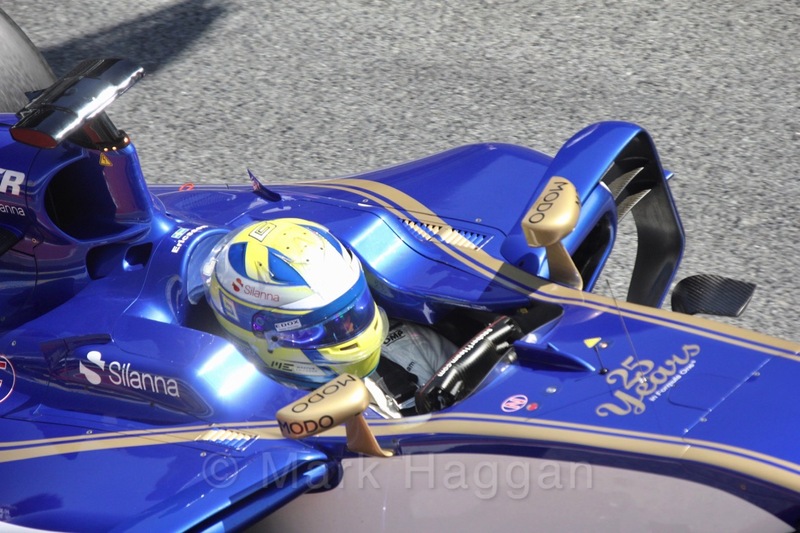 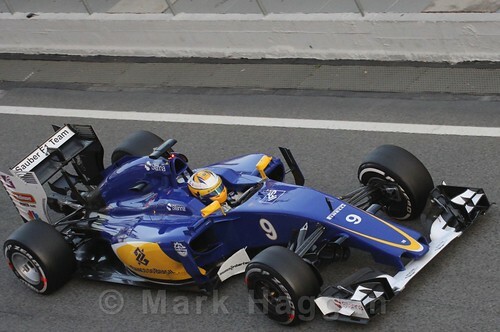 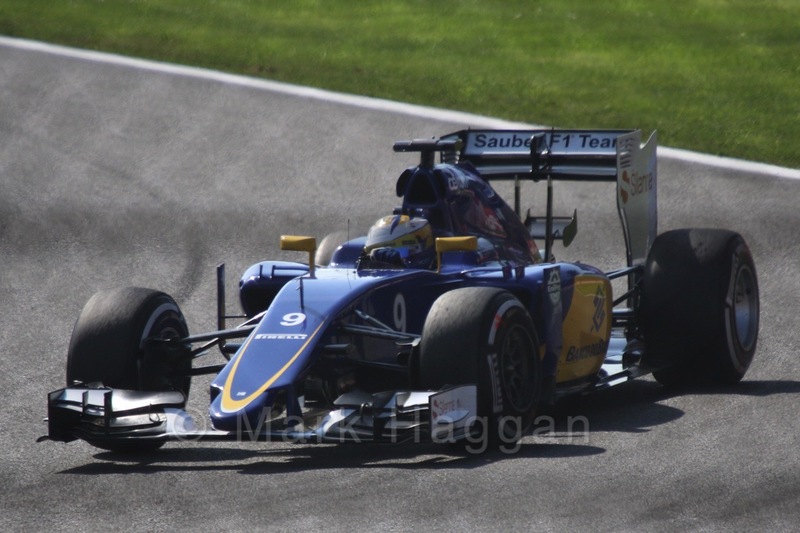 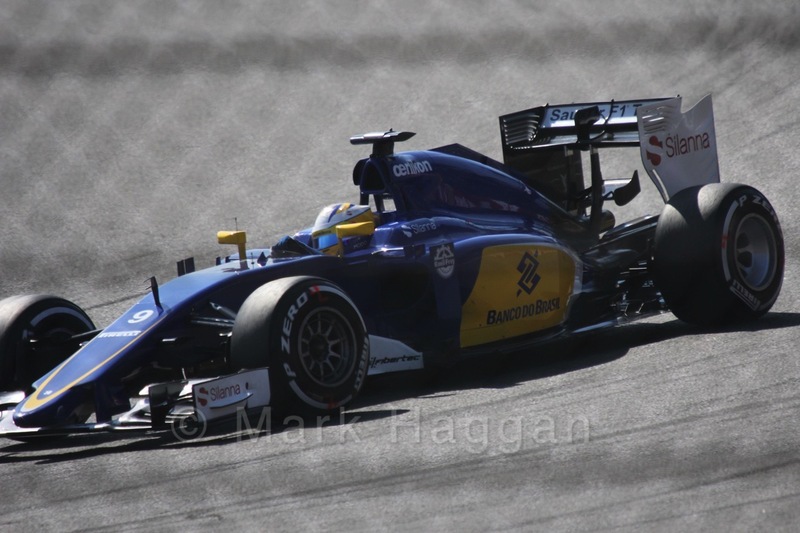 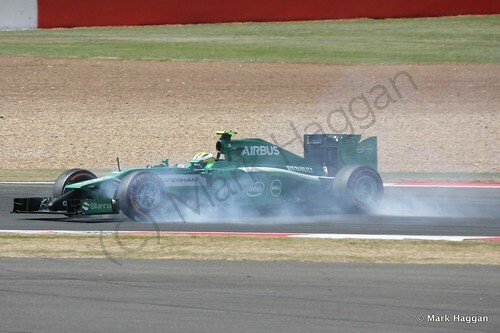 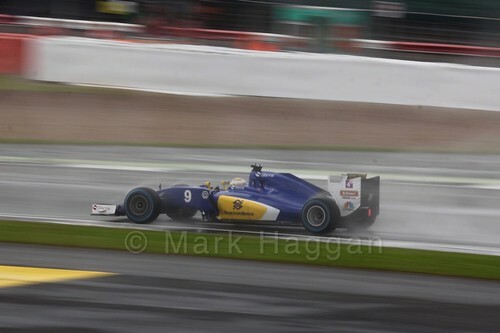 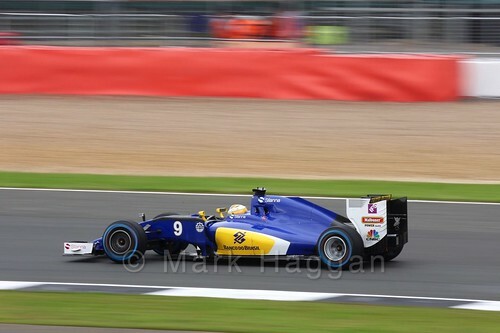 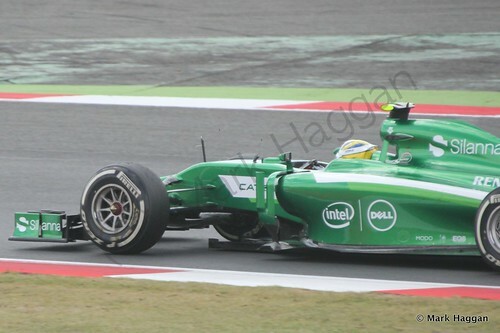 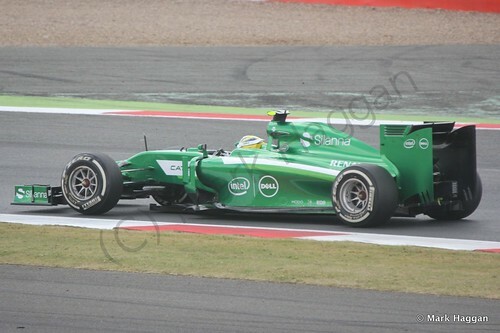 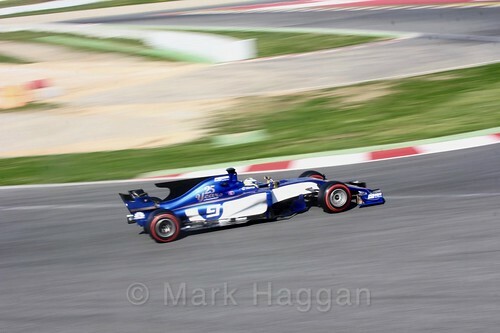 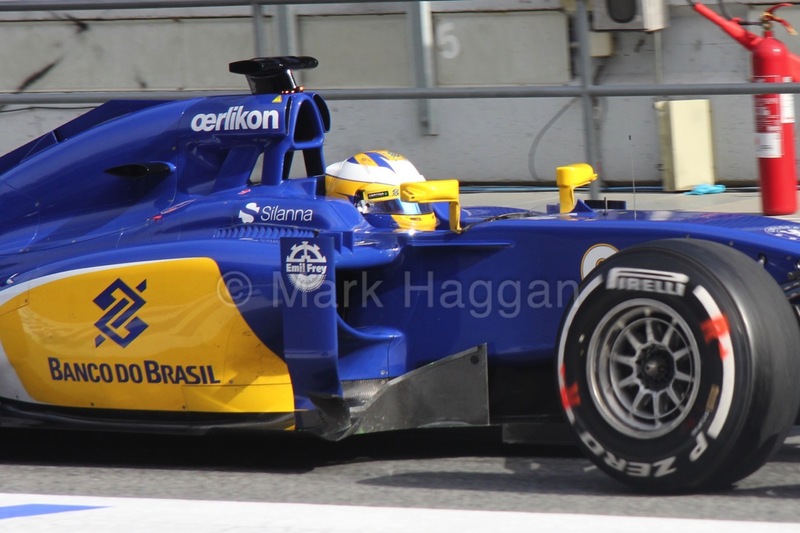 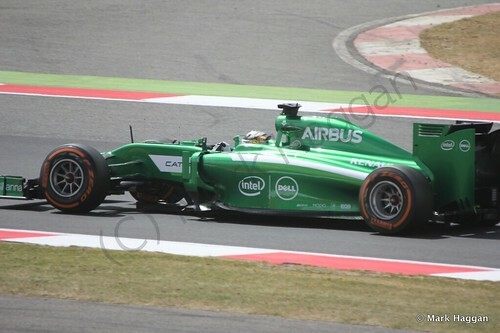 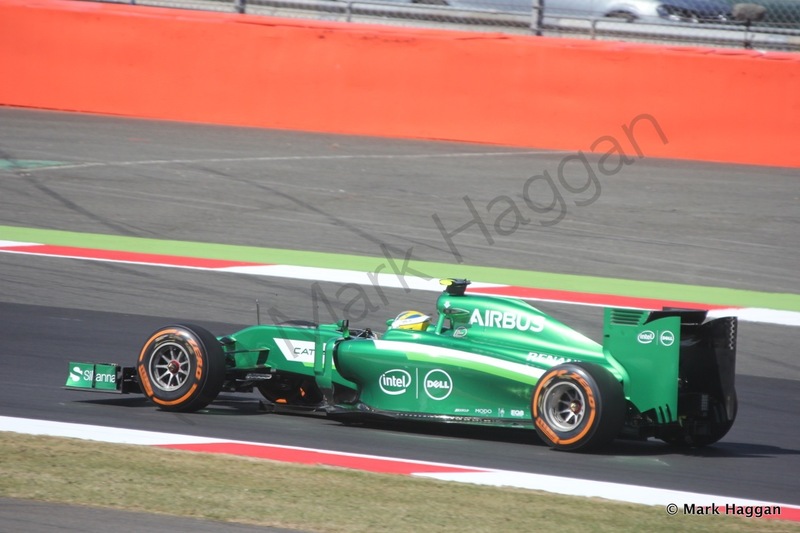 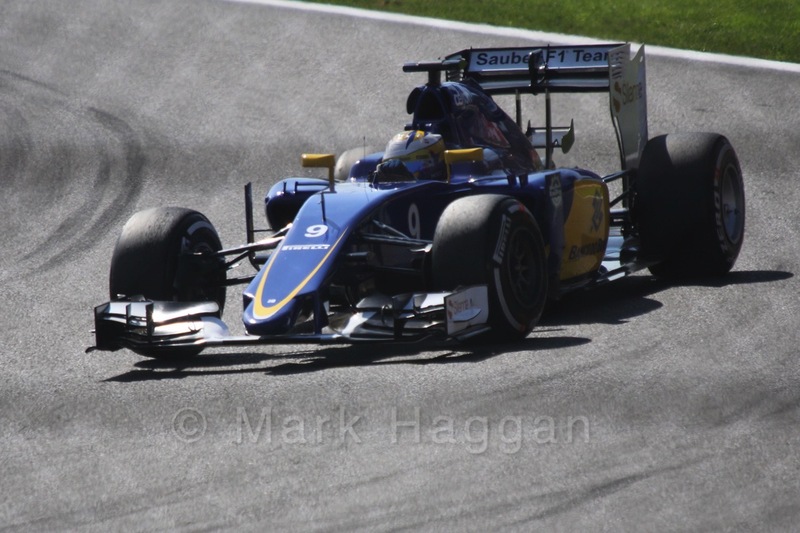 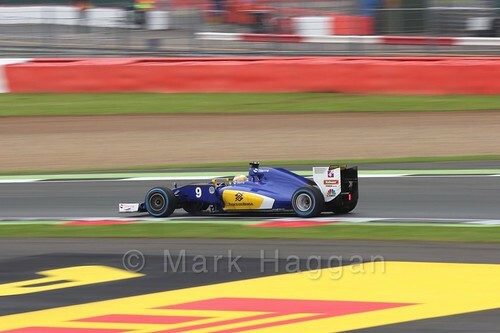 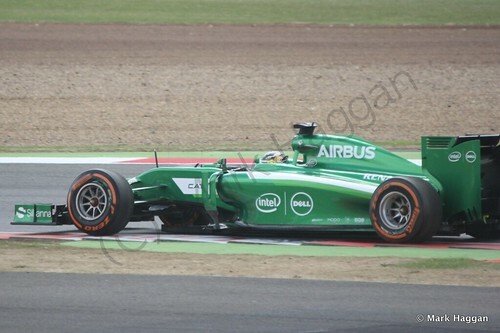 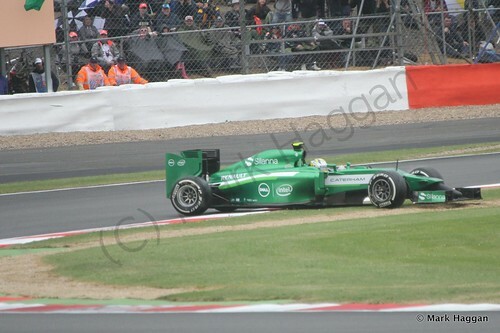 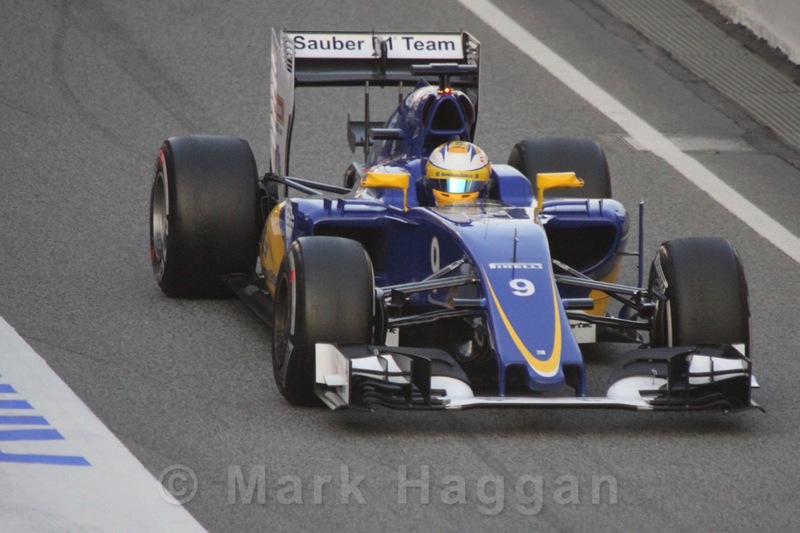 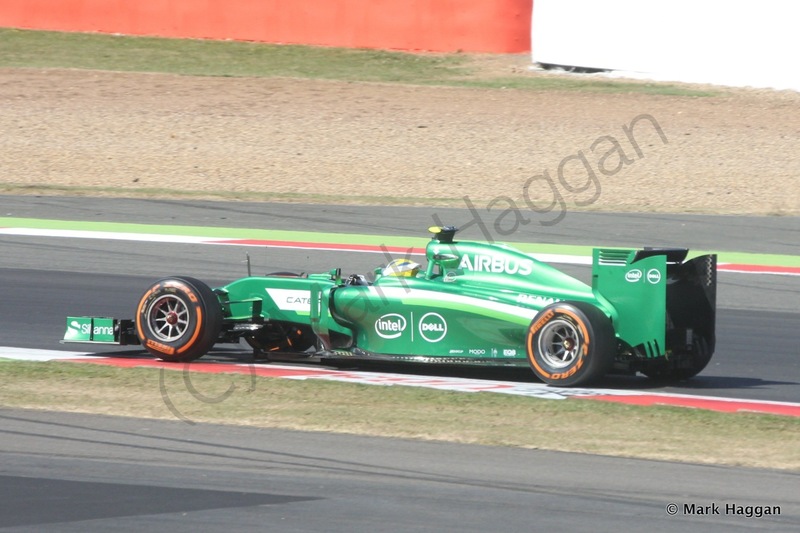 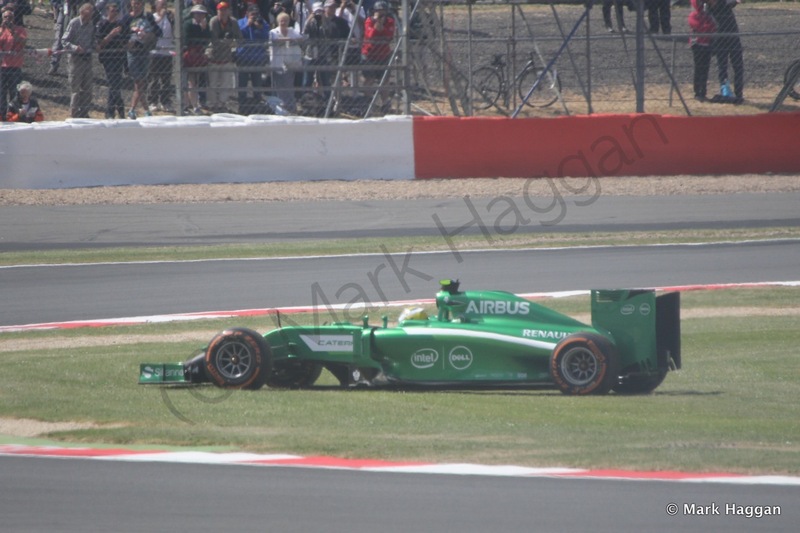 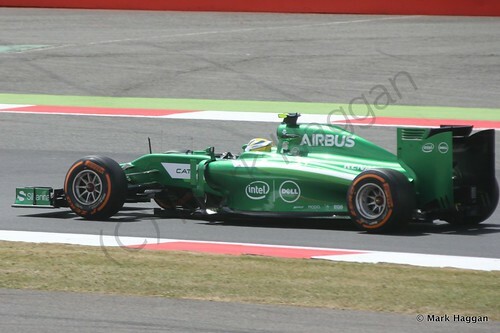 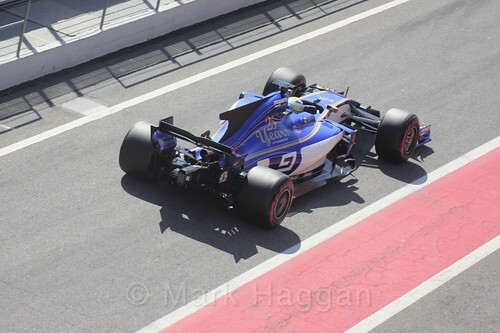 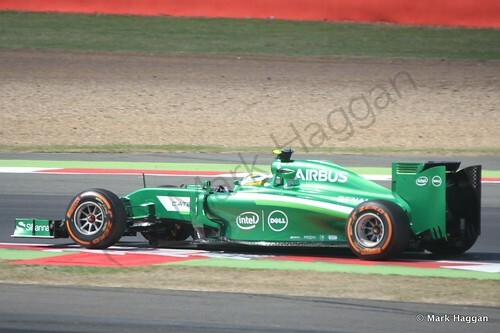 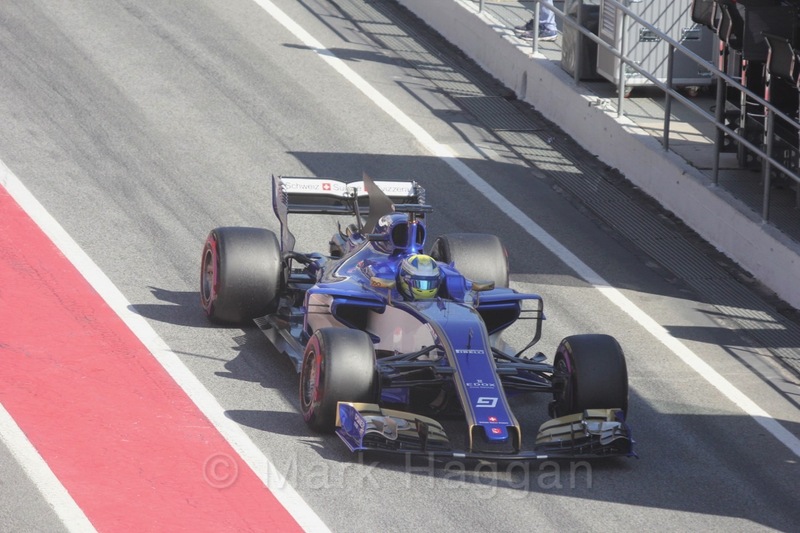 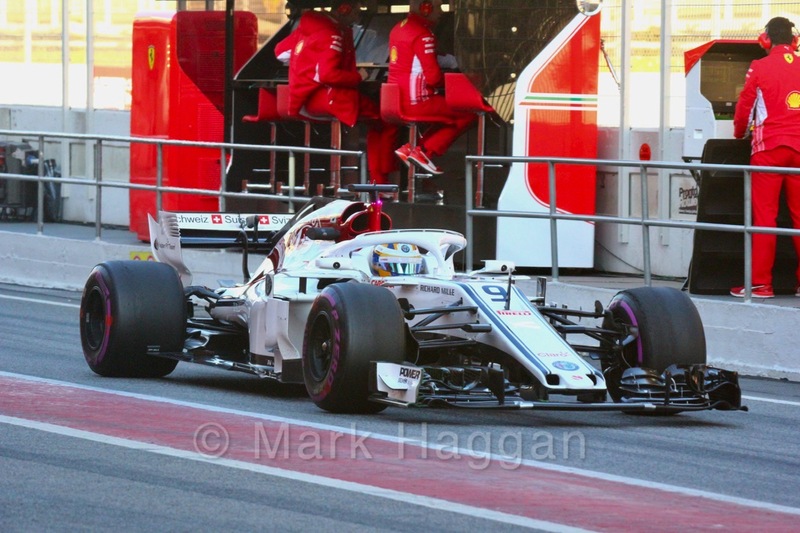 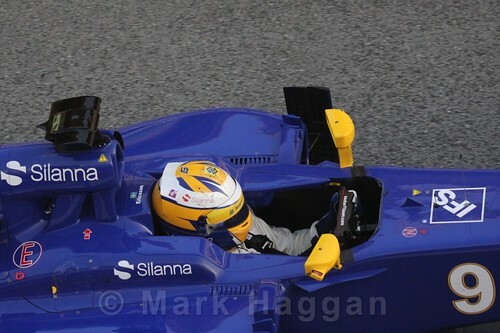 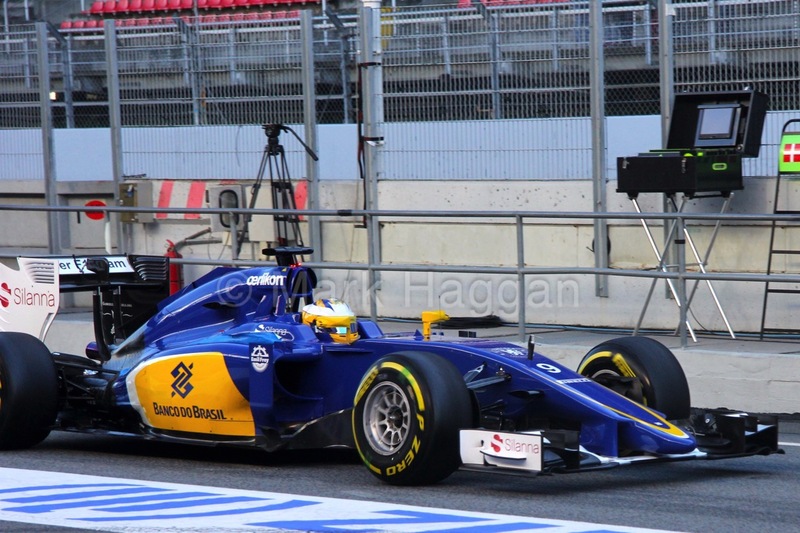 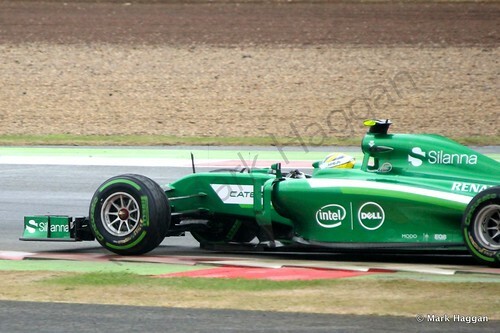 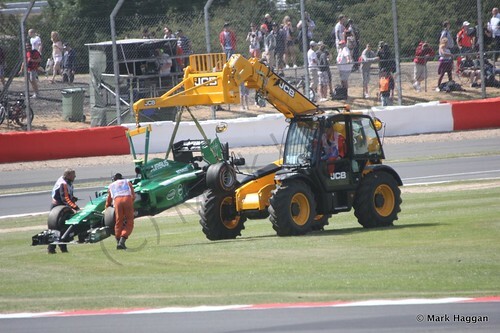 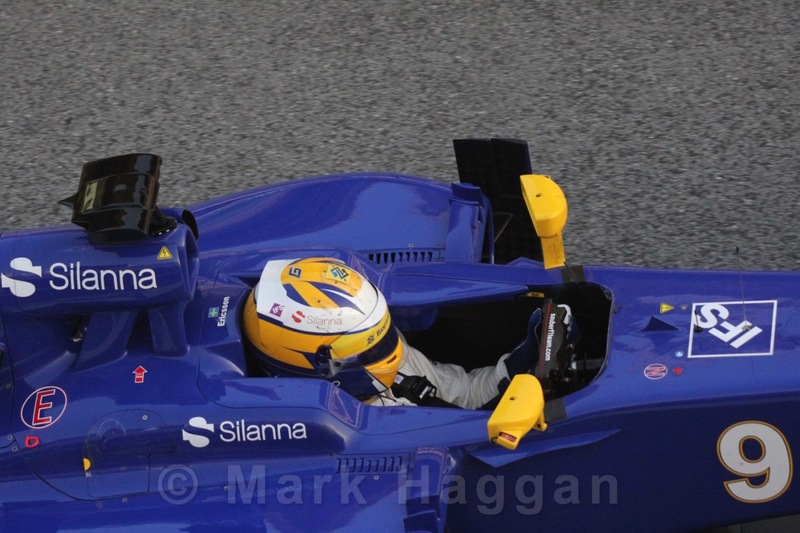 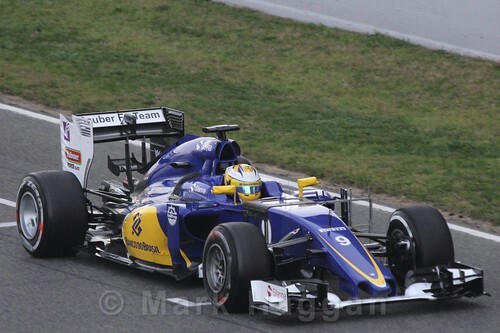 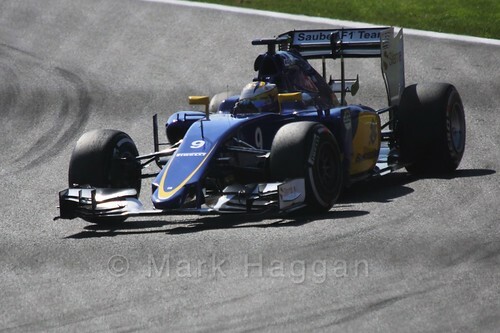 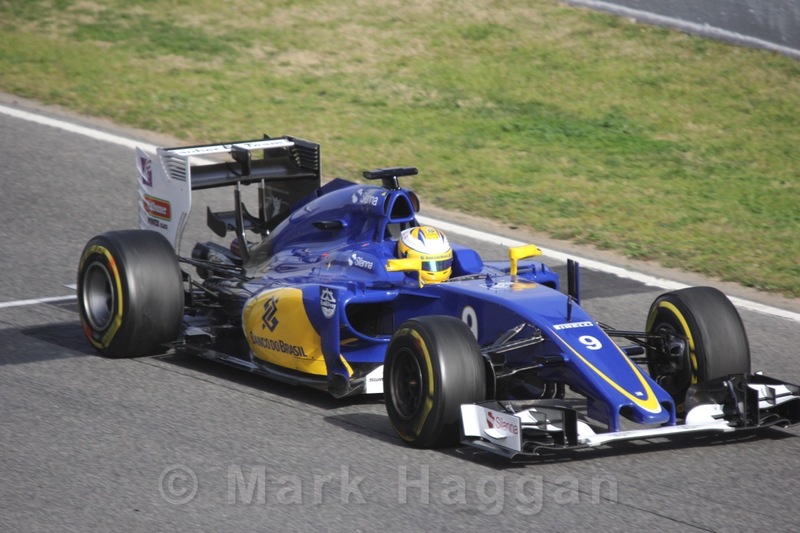 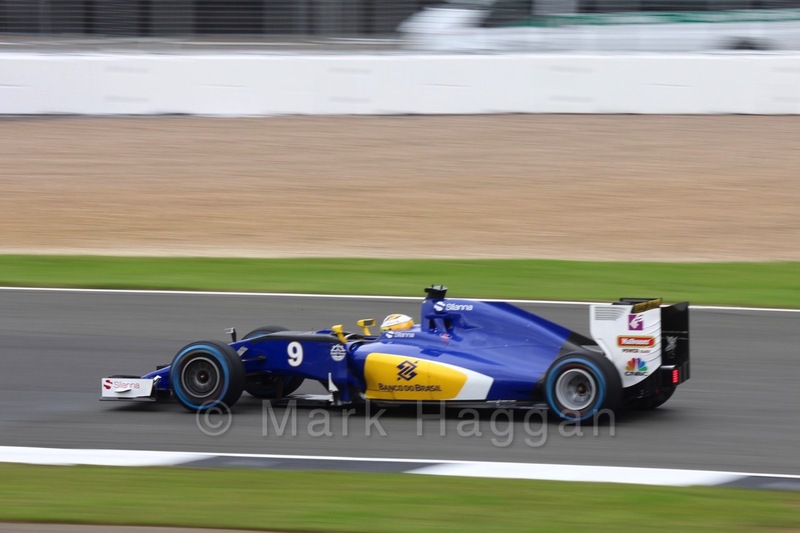 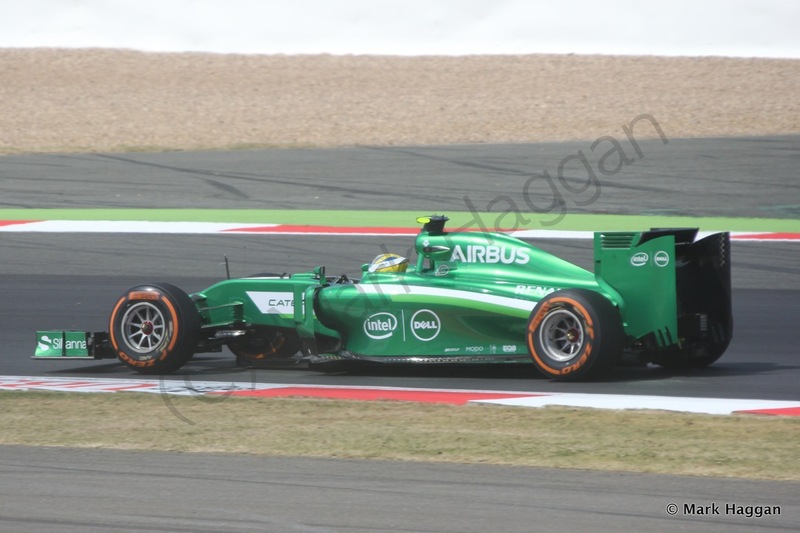 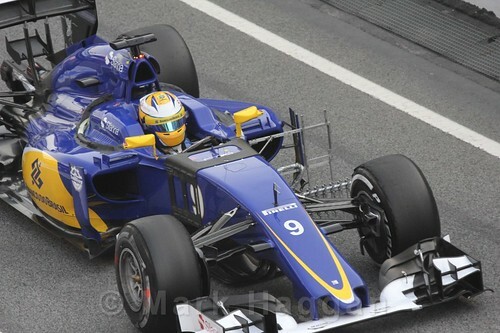 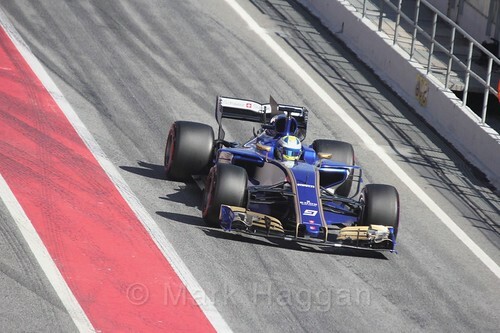 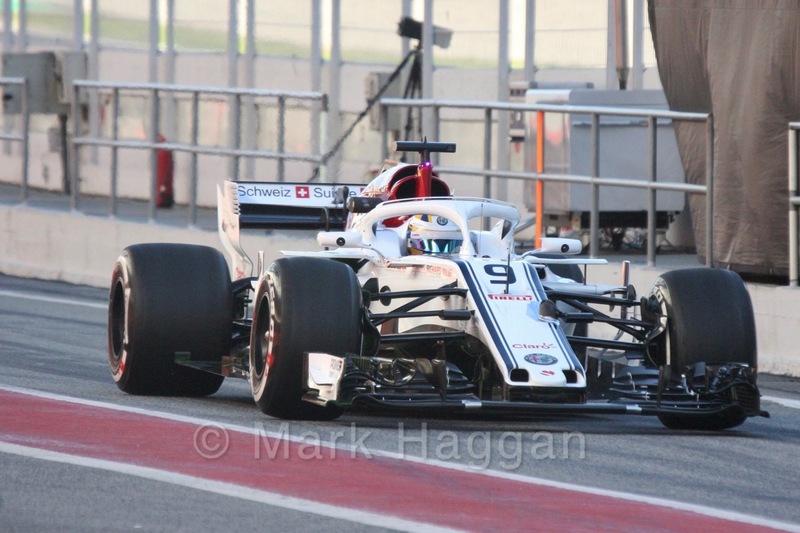 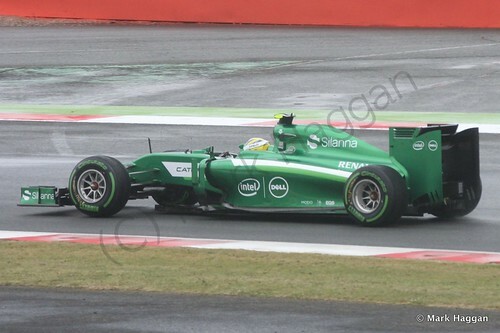 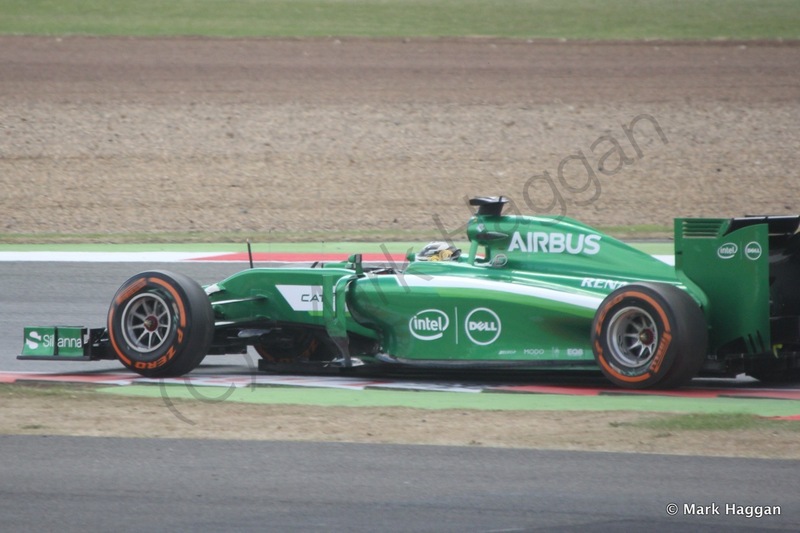 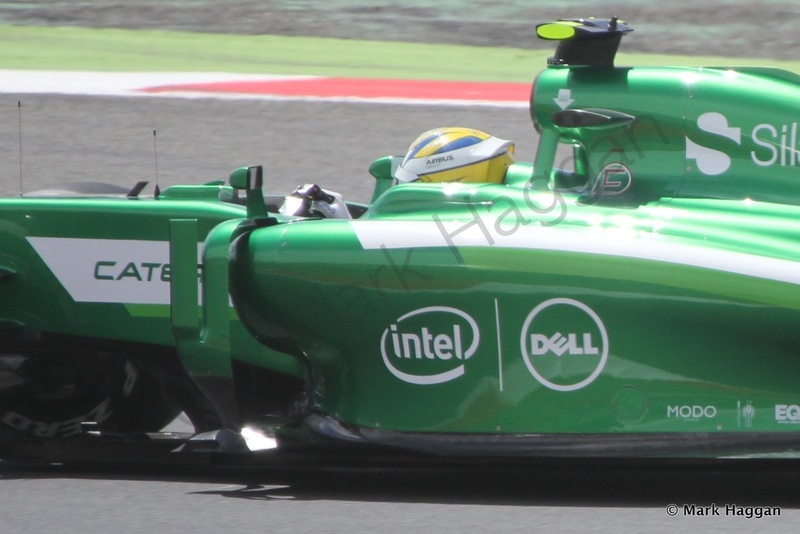 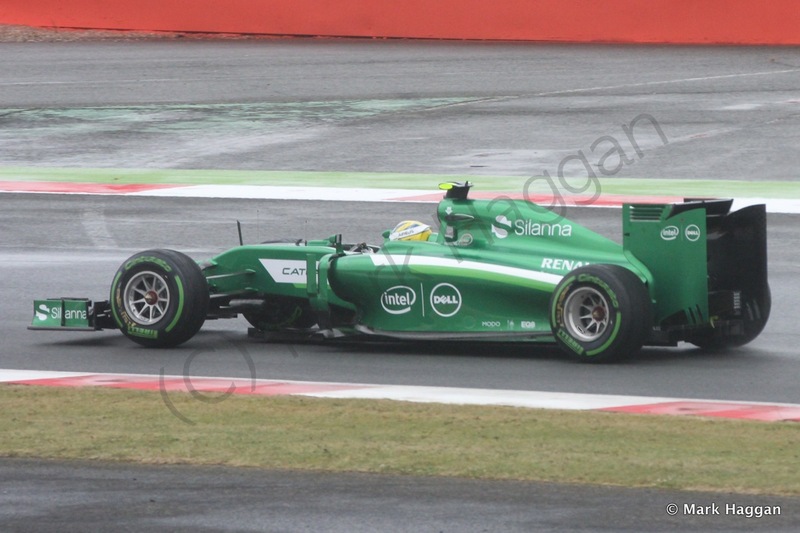 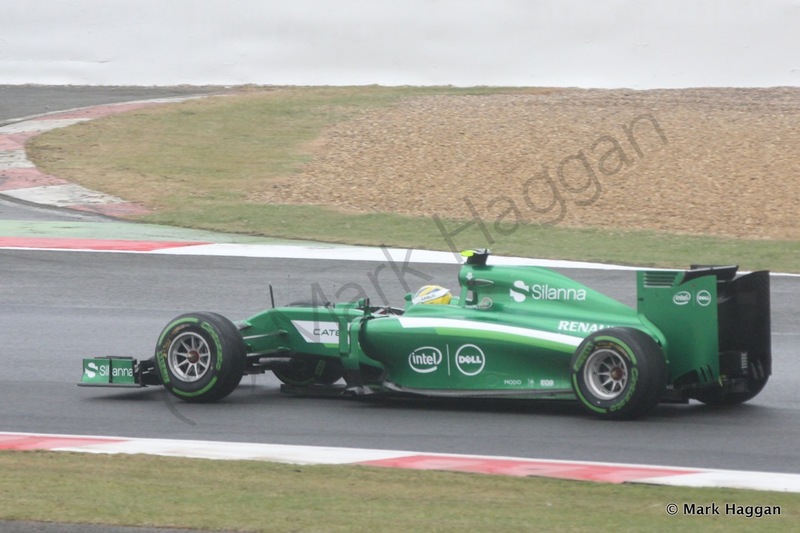 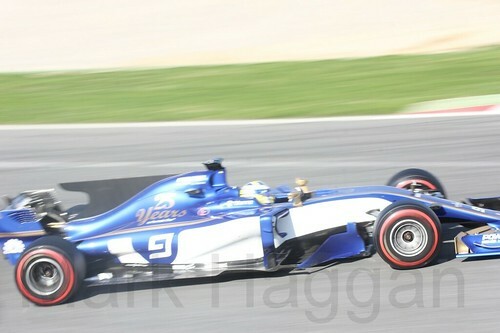 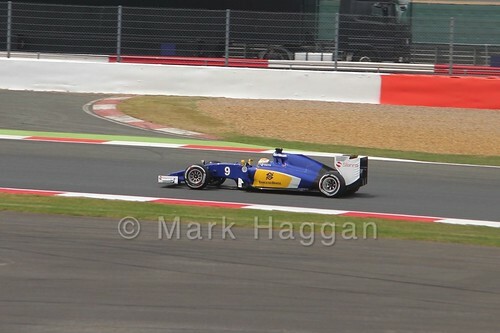 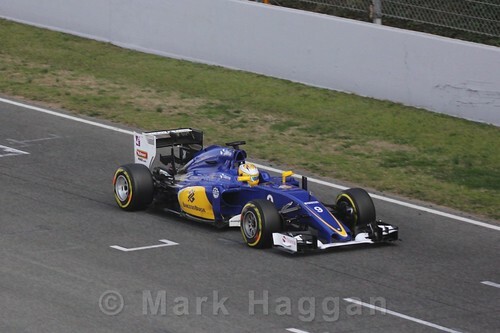 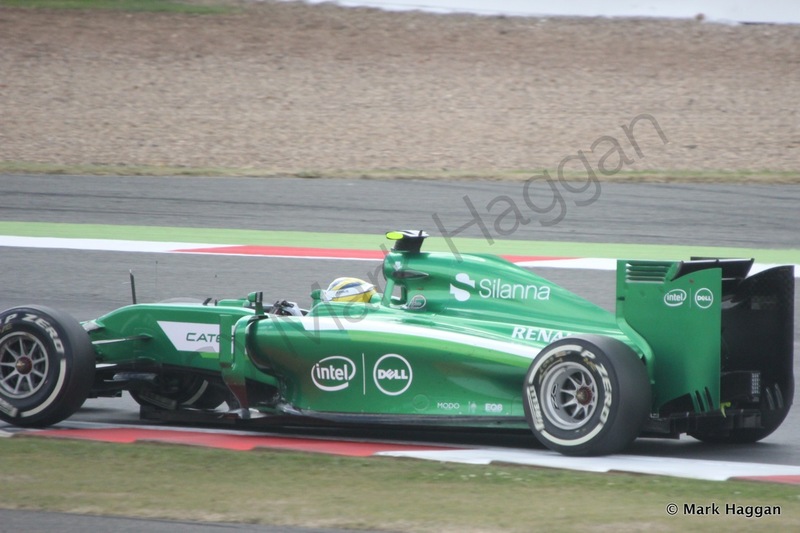 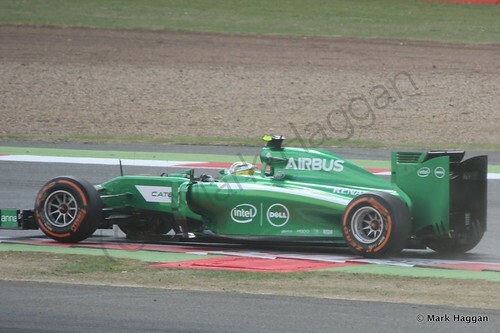 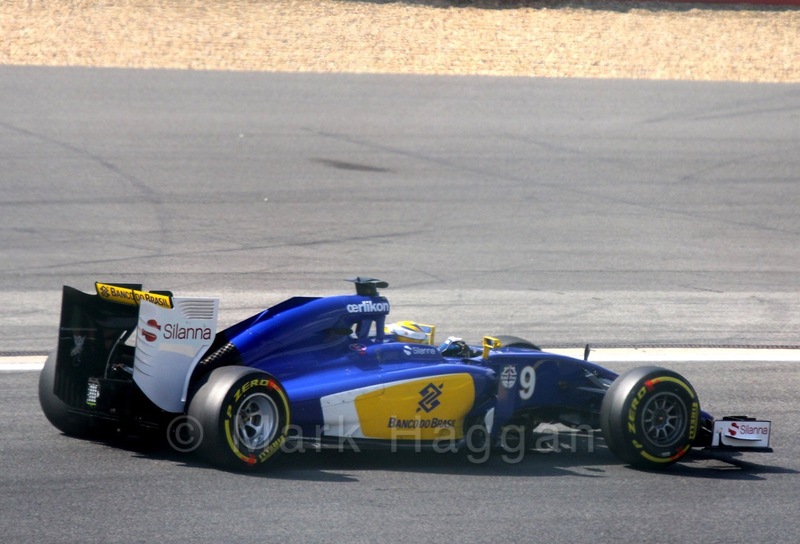 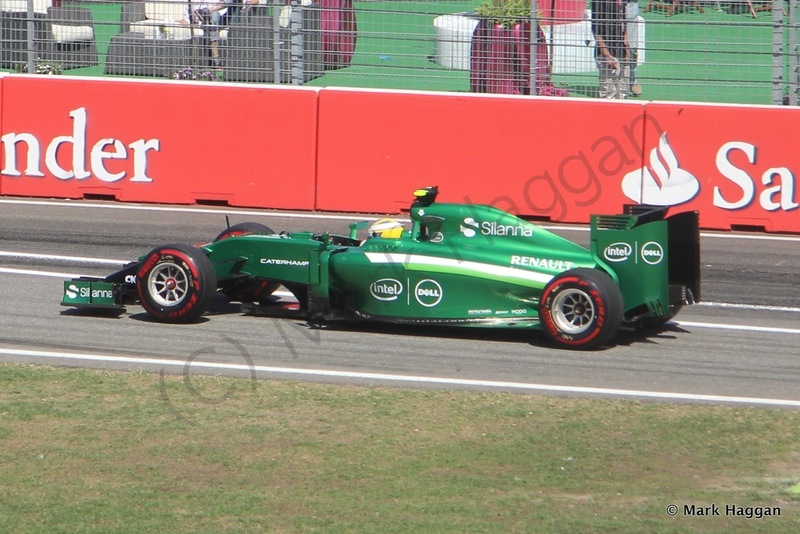 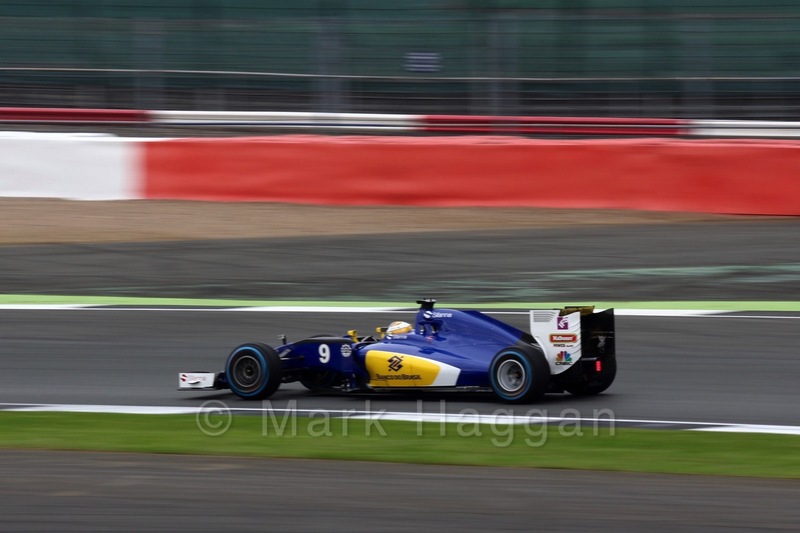 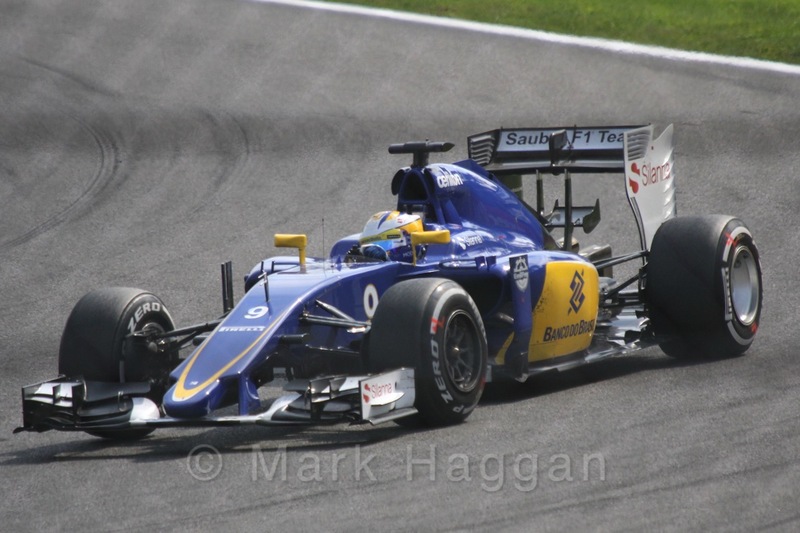 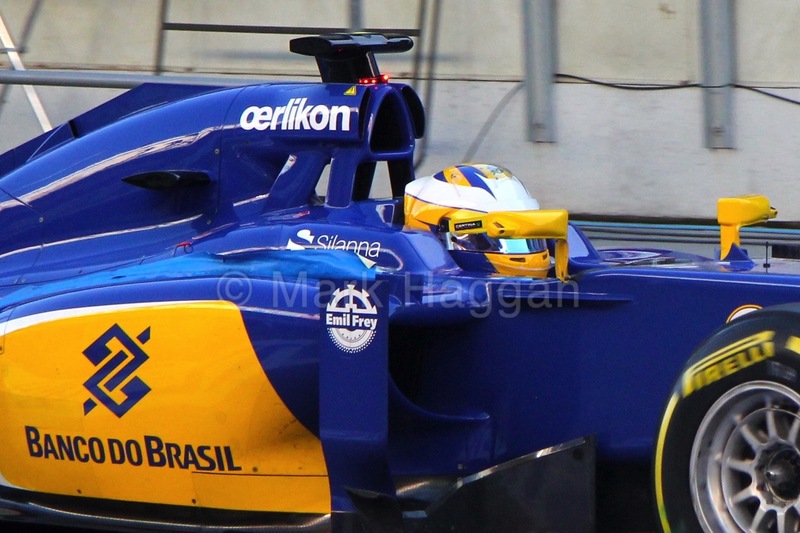 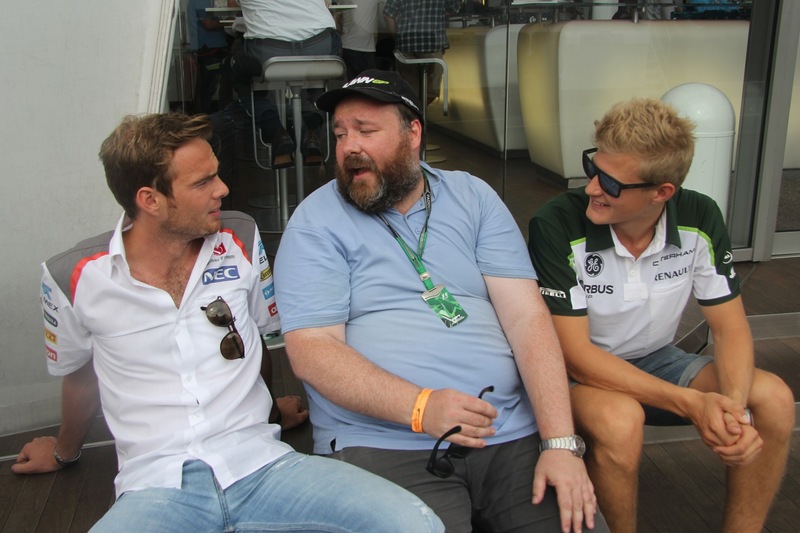 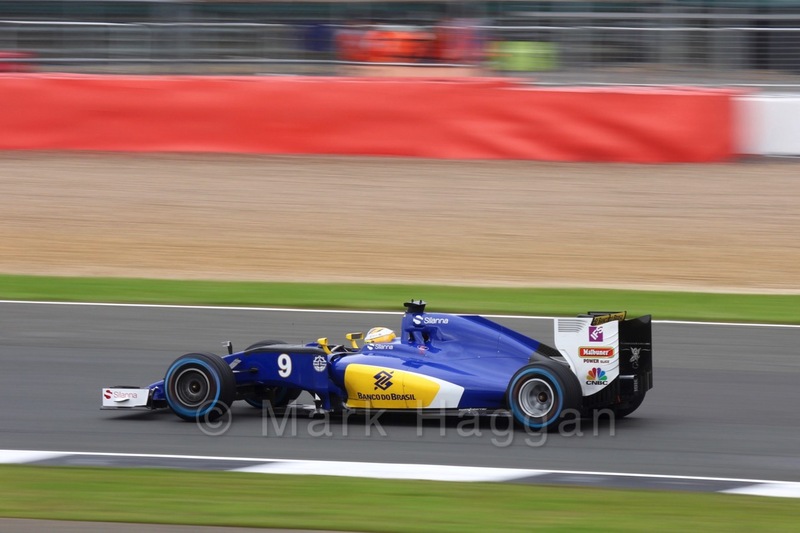 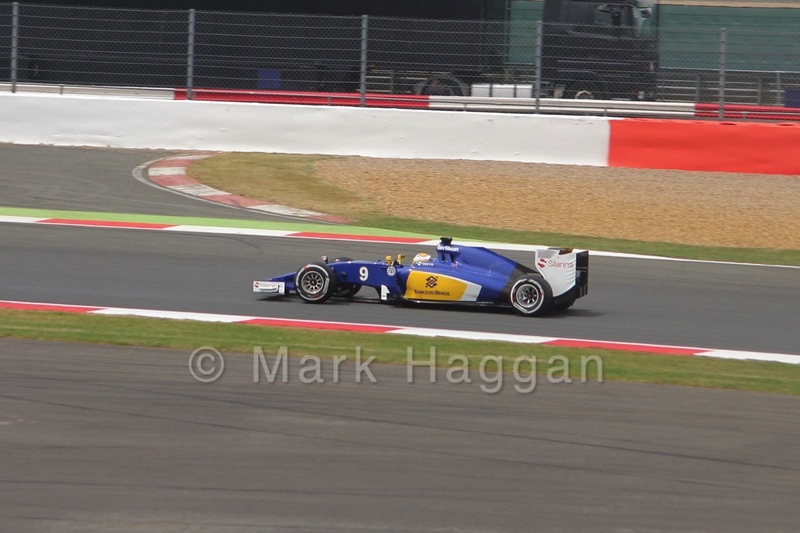 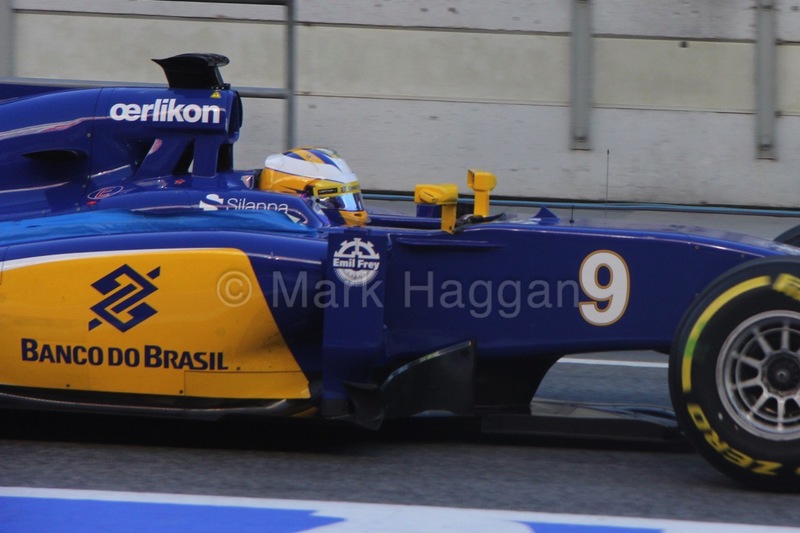 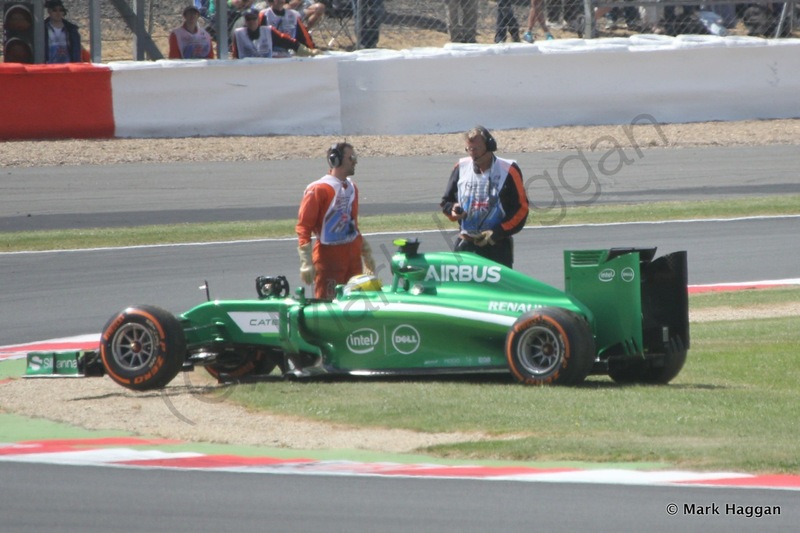 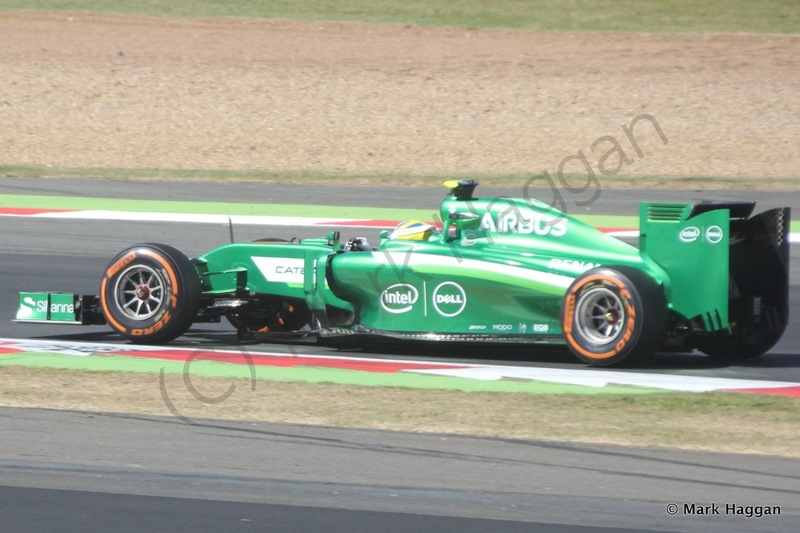 Formula One, Motor Racing F1, Formula 1, Formula One, Gallery, Marcus Ericsson, Photos. permalink.